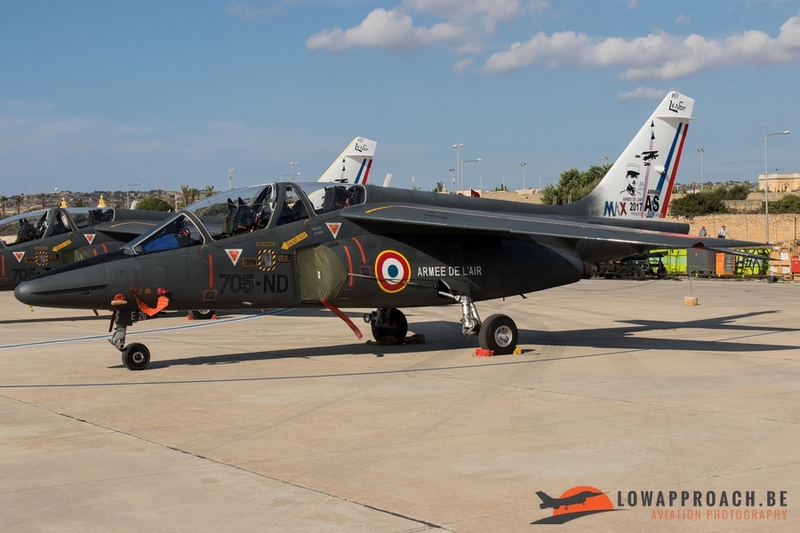 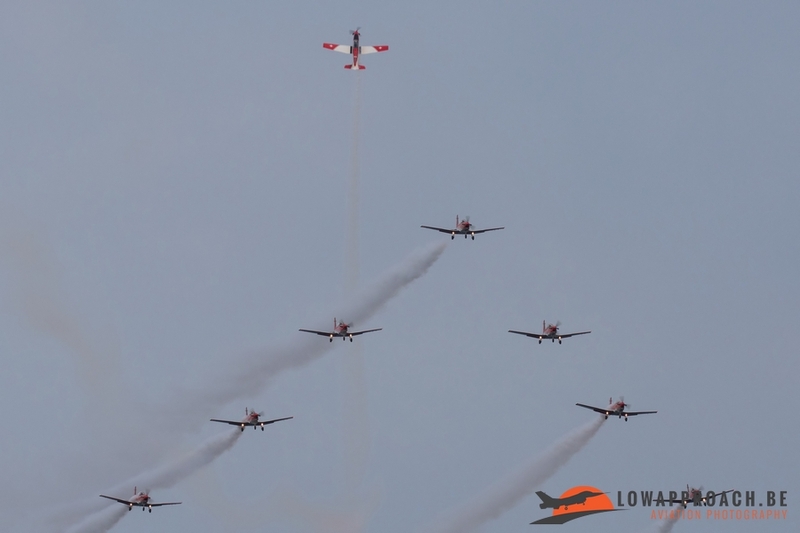 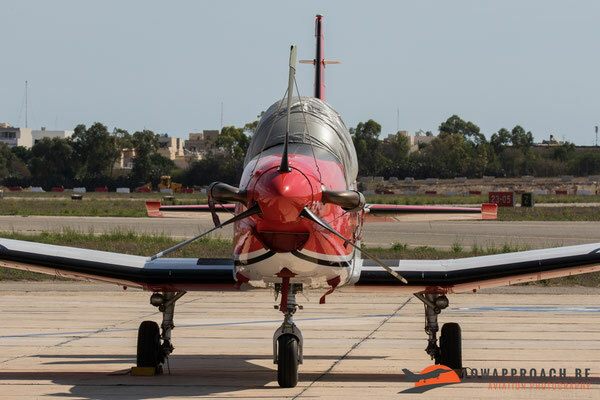 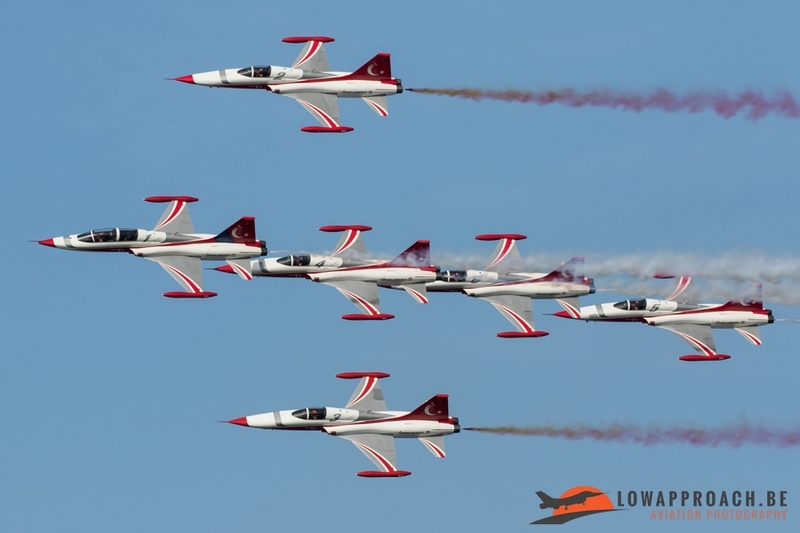 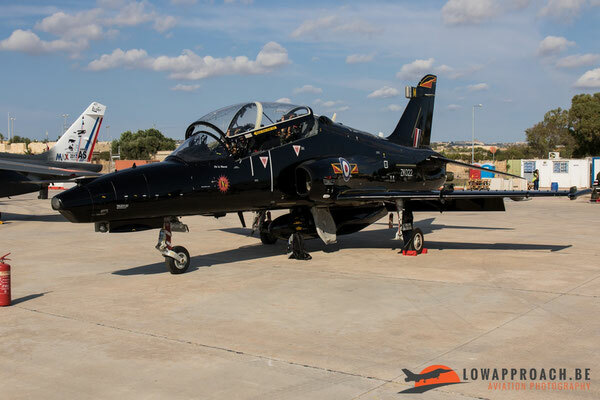 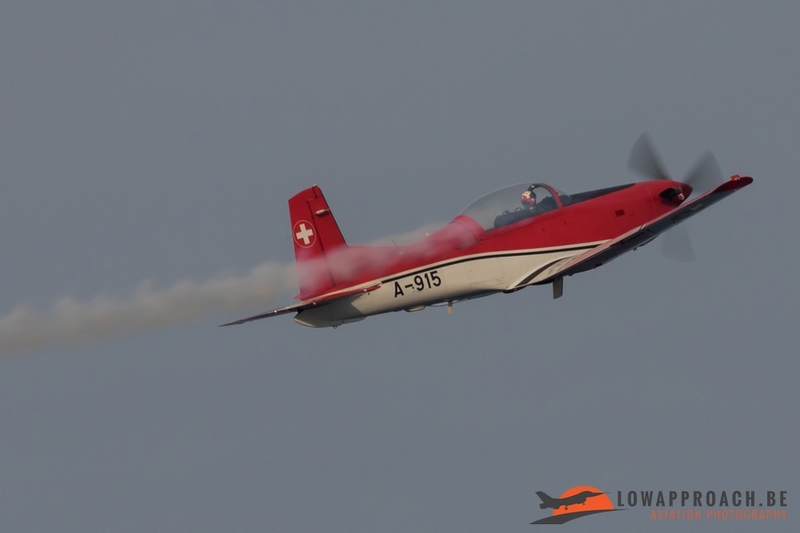 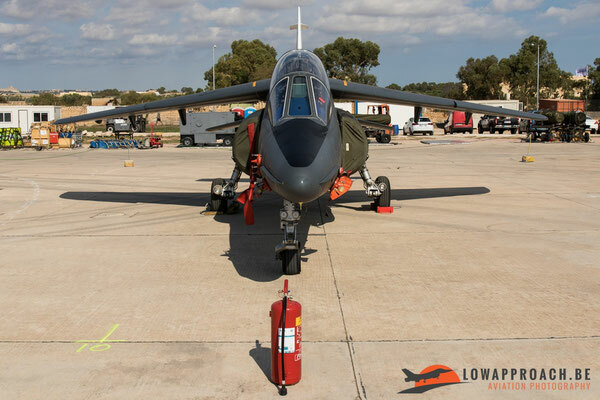 On the 23th and 24th September the Malta Aviation Society ( MAS ) have organized their annually held Malta International Air Show at the Malta International Airport (ex RAF Luqa). 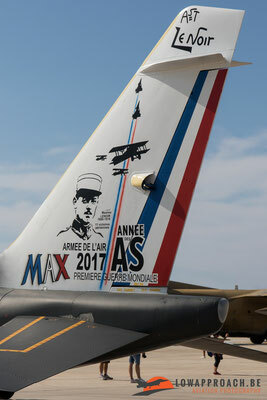 This year was the 25th anniversary edition of the Airshow. Since the first edition some very rare participants could be seen in the static and flying displays, for example Israeli F-15’s and F-16’s, Libyan Mirage F1, Italian F-104’s and Do-228, US Navy F-14, EA-6B, S-3’s, US Air Force B-1B and B-52H and many more others. Low Approach attended the two airshow days and the departures to celebrate this anniversary. 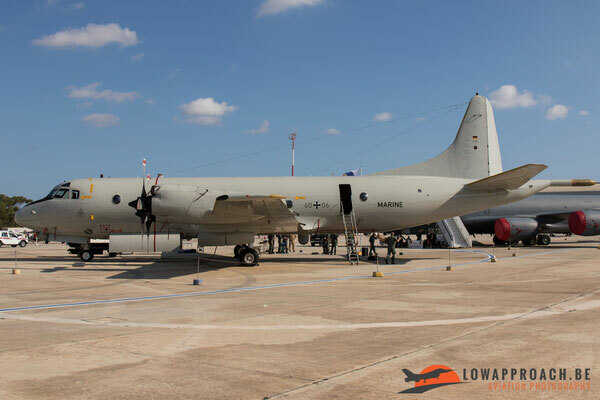 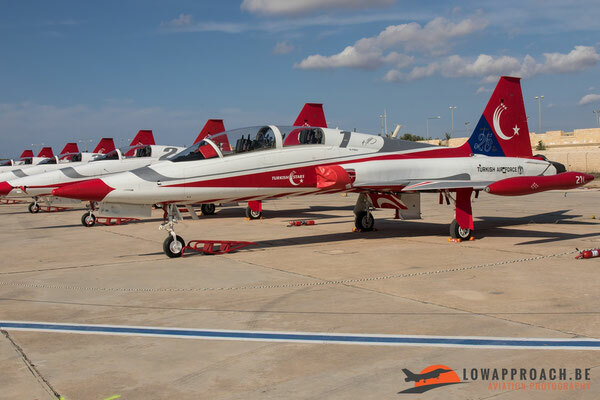 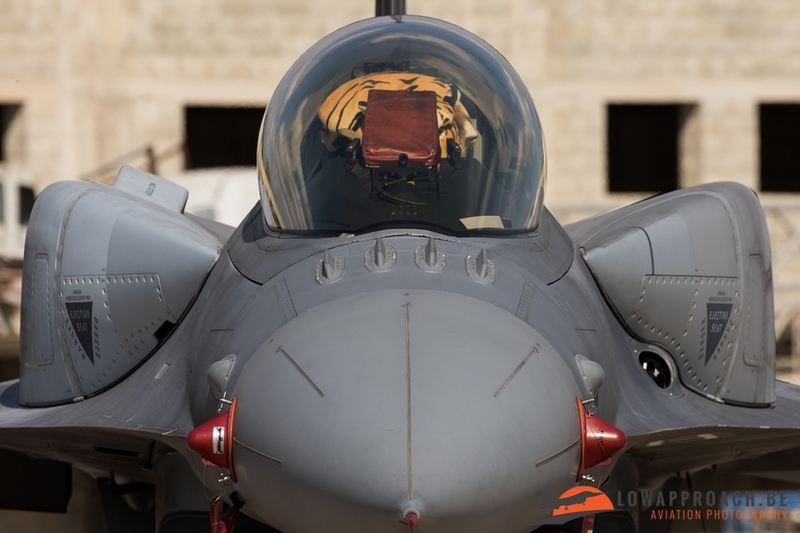 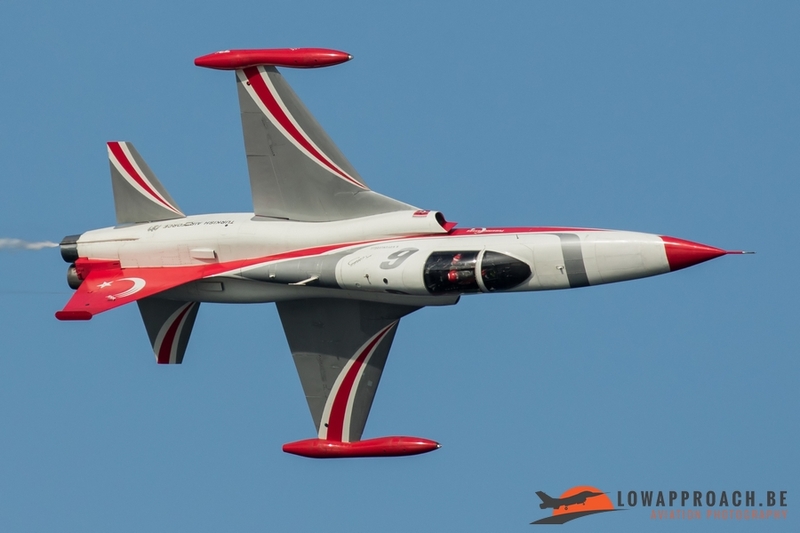 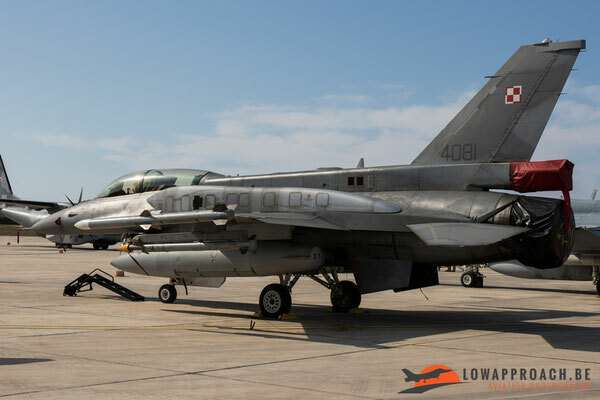 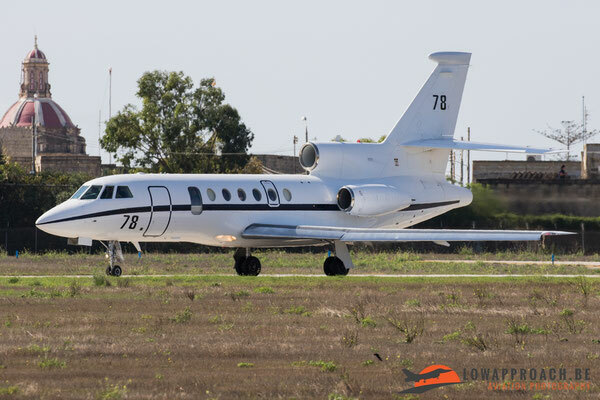 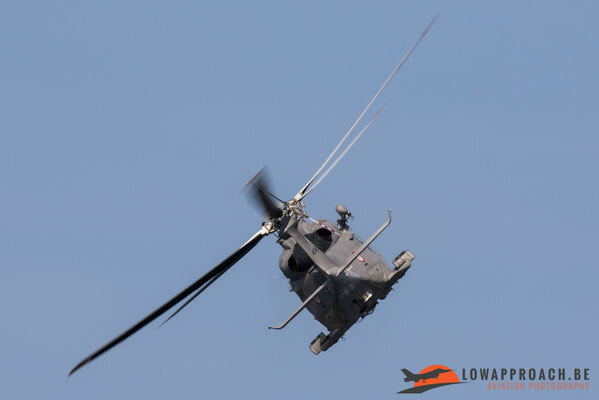 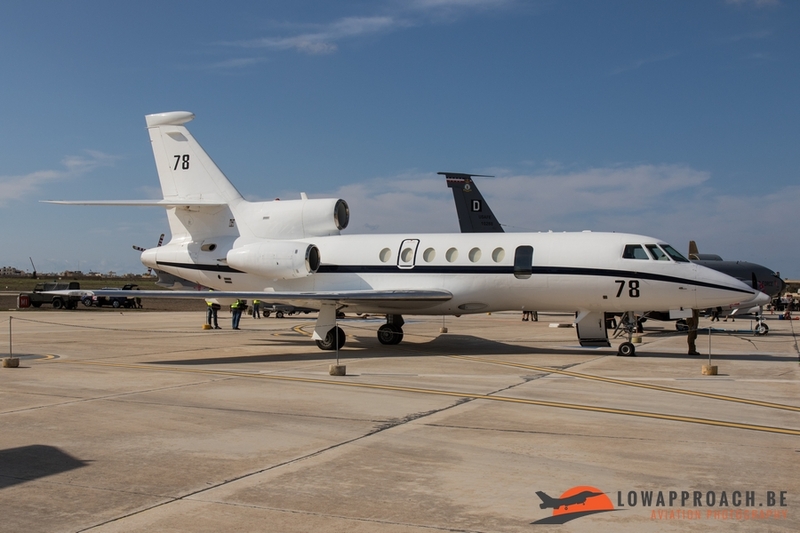 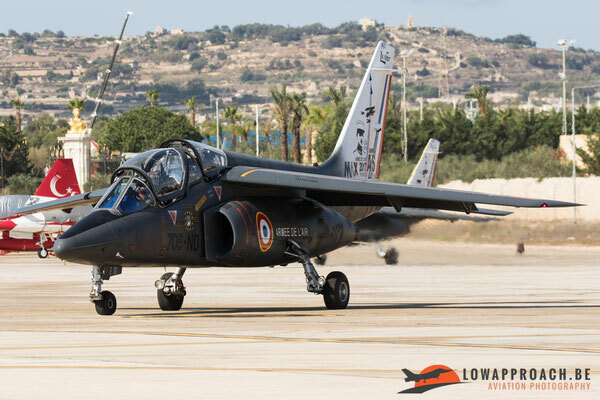 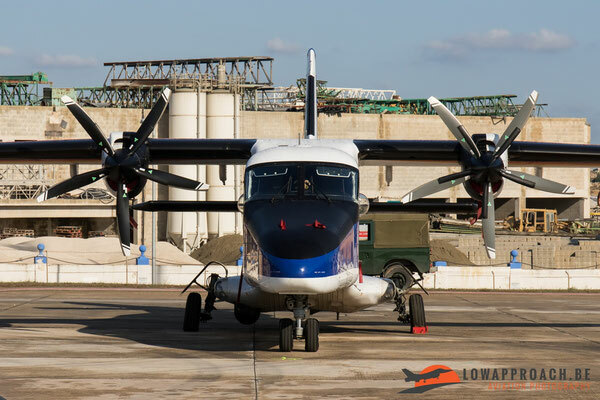 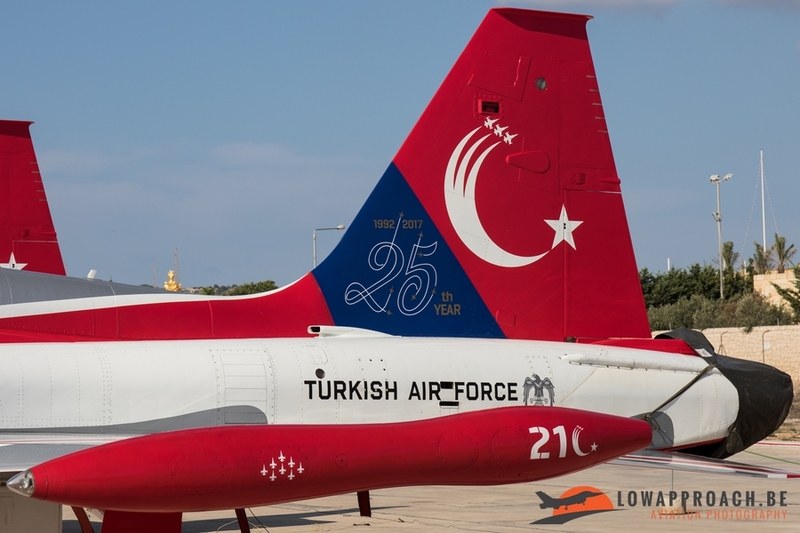 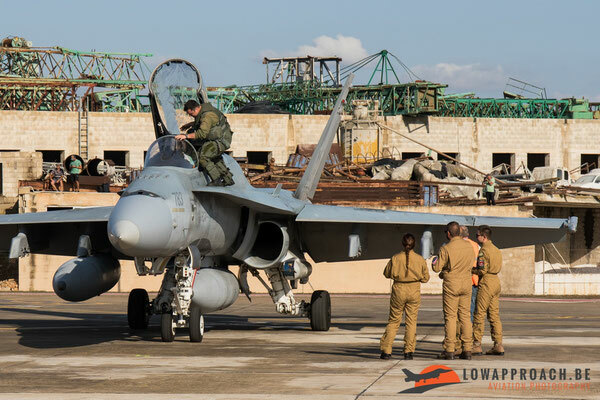 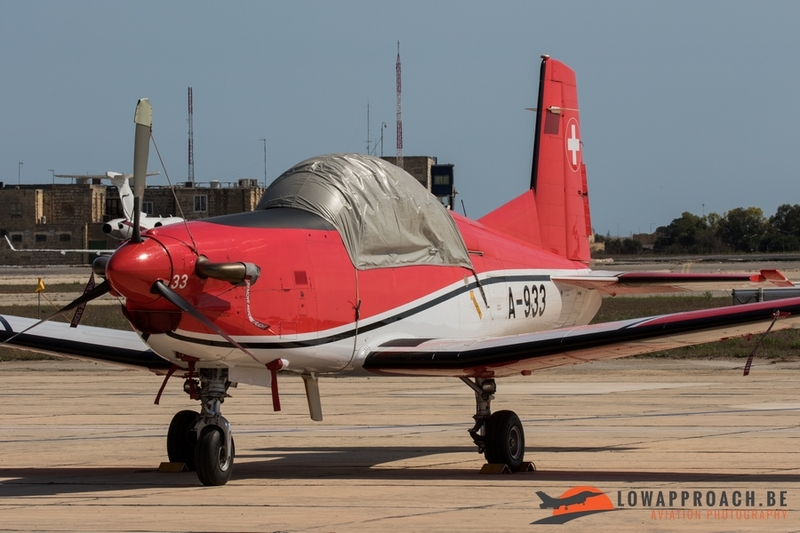 During the last two years, a lot of changes have been made in the organization of the Airshow, since 2016 the public can watch the static display on the Malta International Airport until early afternoon. Afterwards the flying display takes place on another location called SmartCity about 10km from the airfield. 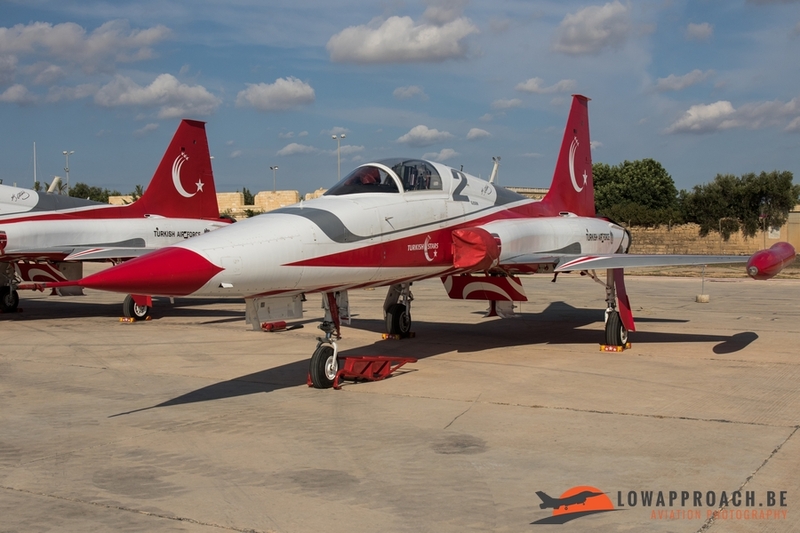 Also this year there were some very welcome participants, I will start with the participants of the static display first. 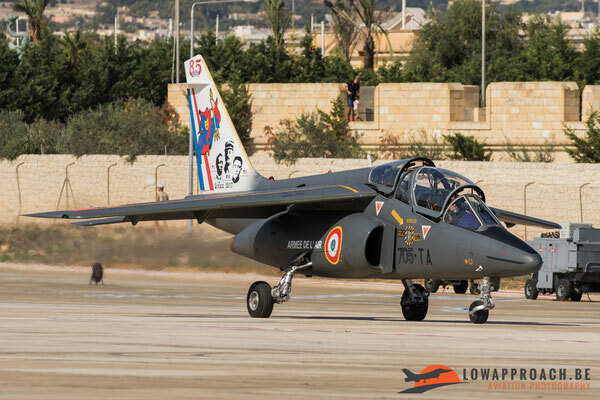 I could only attend on Saturday because on Sunday the static display was cancelled due to thunderstorms over Malta. 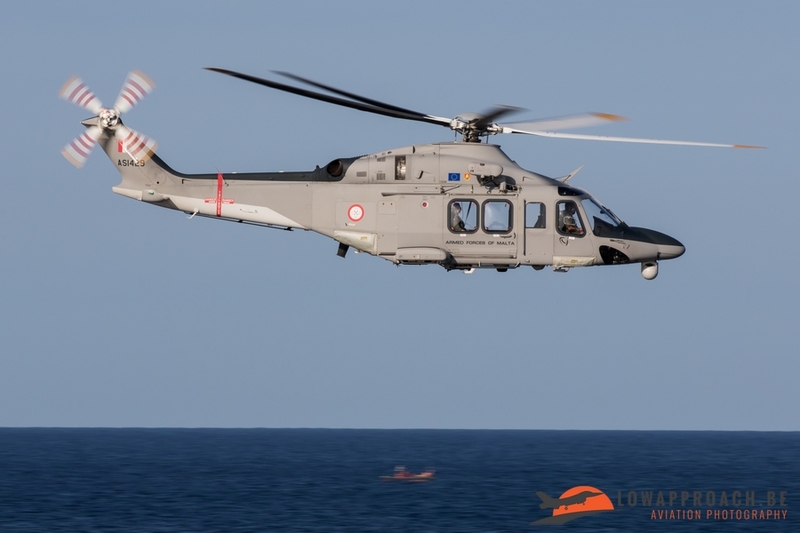 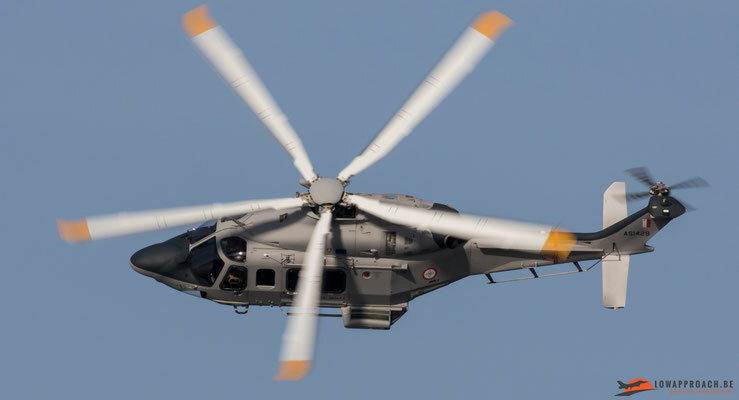 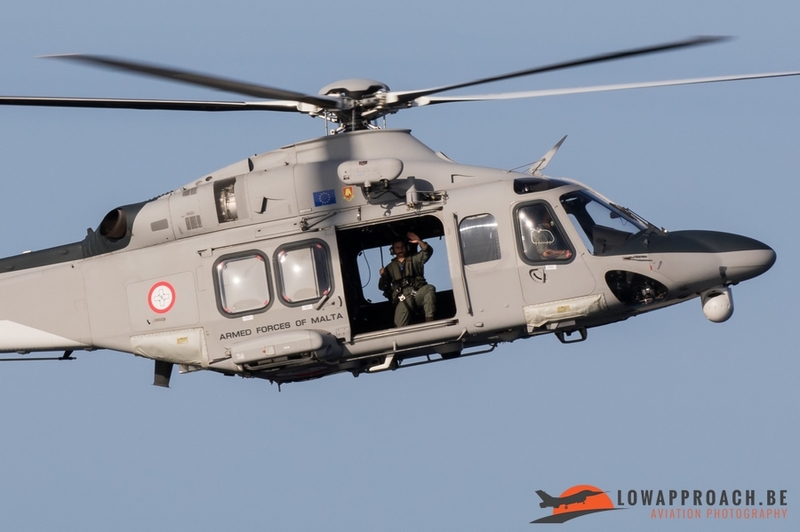 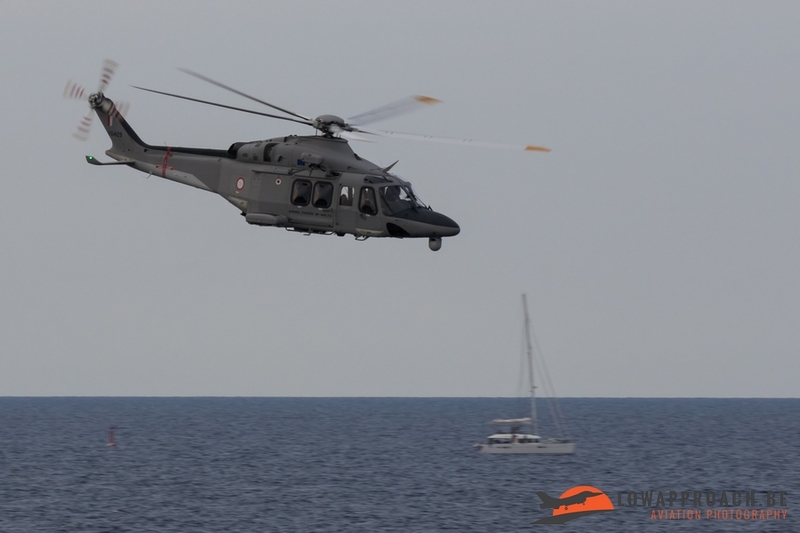 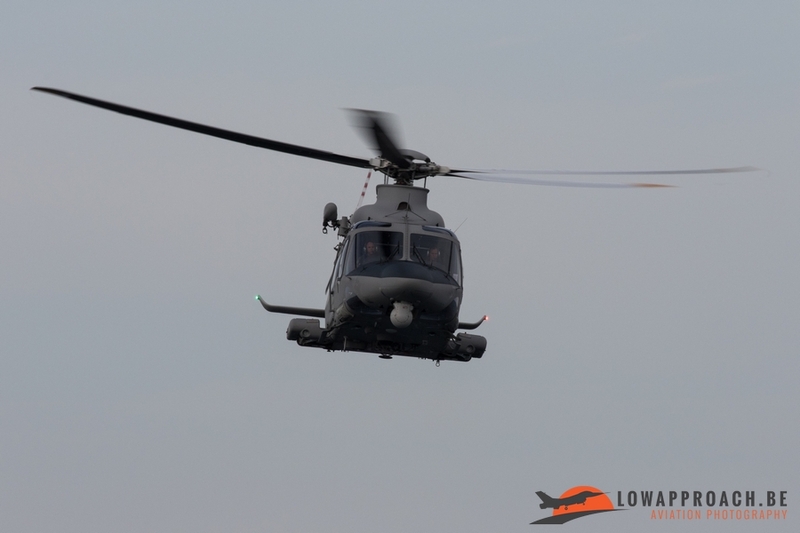 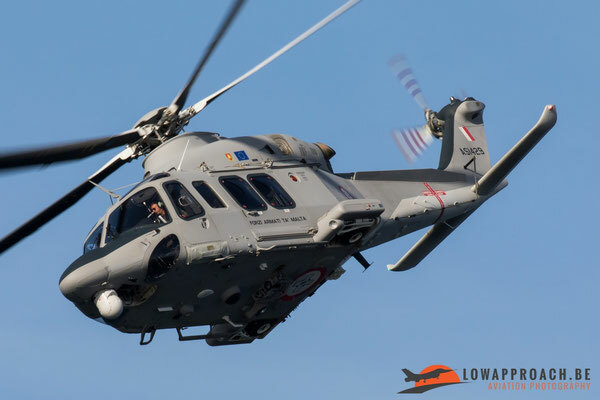 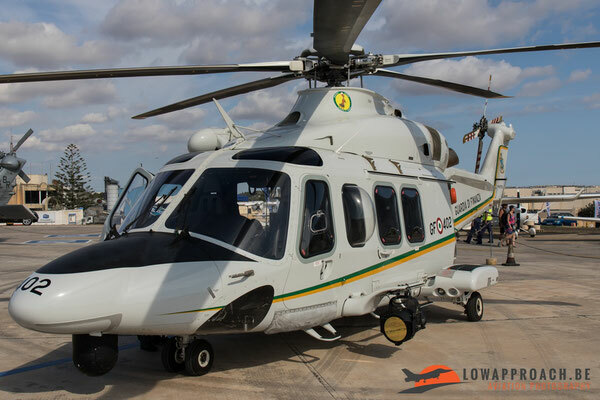 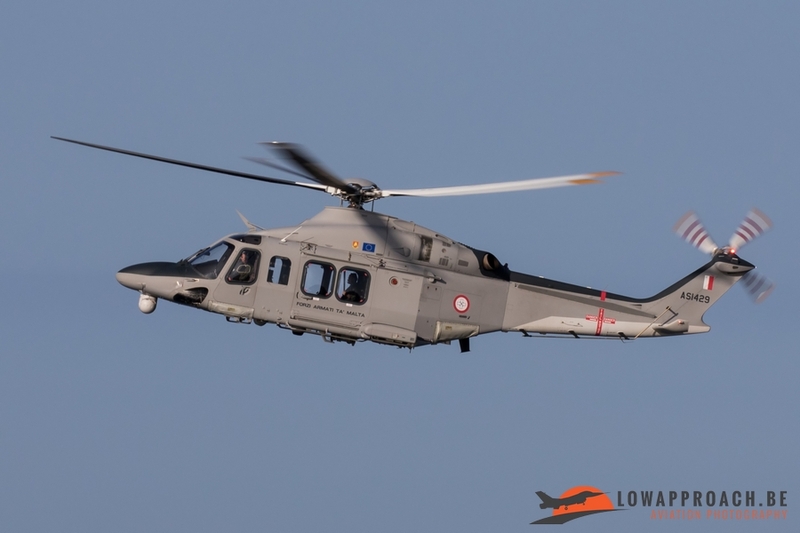 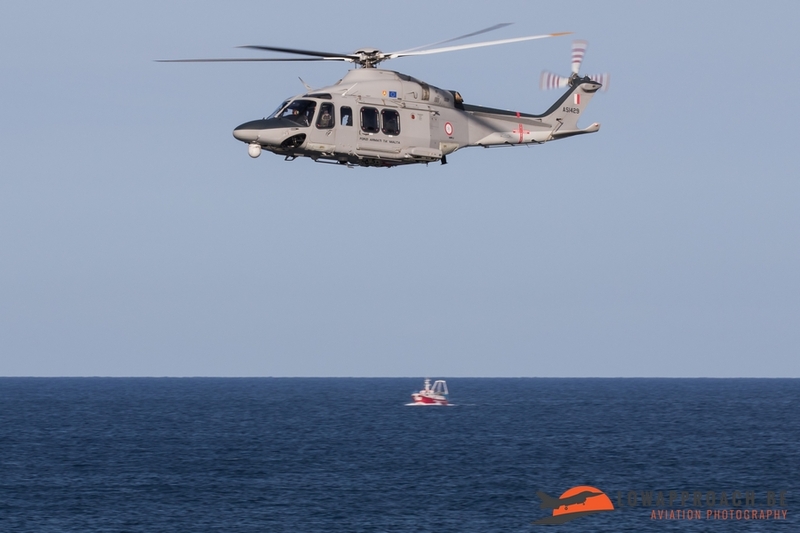 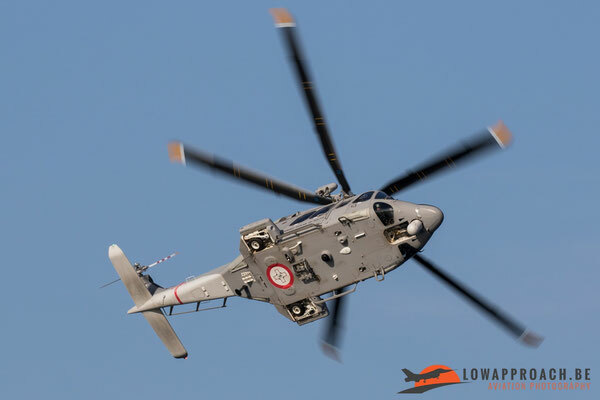 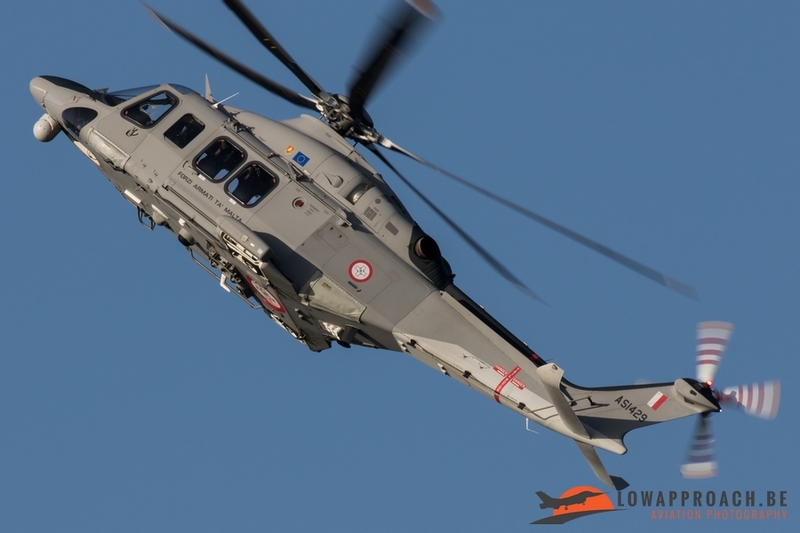 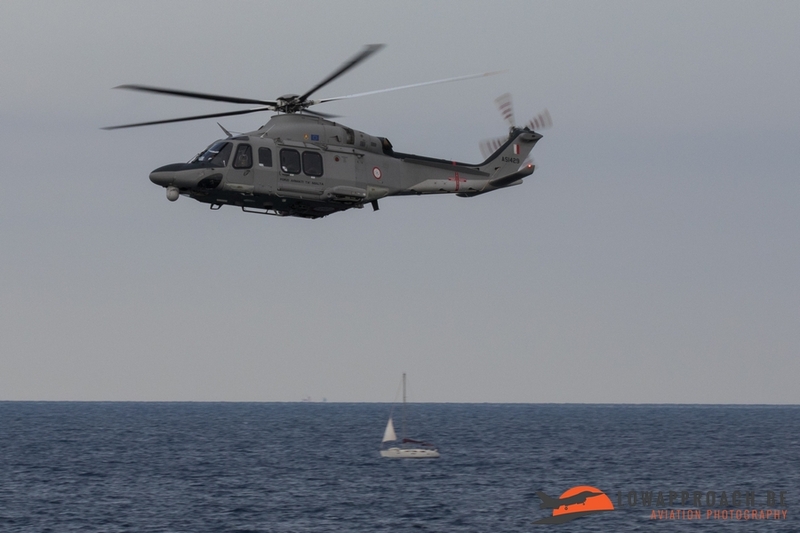 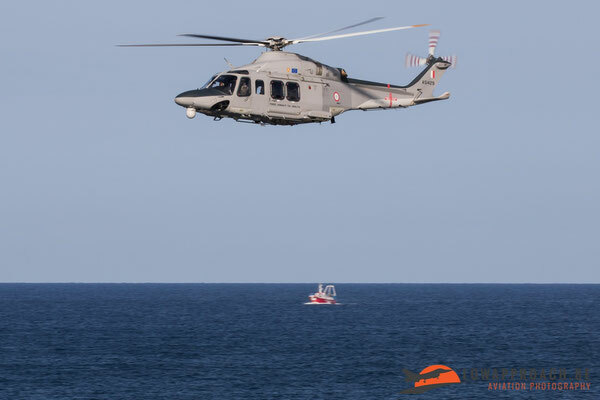 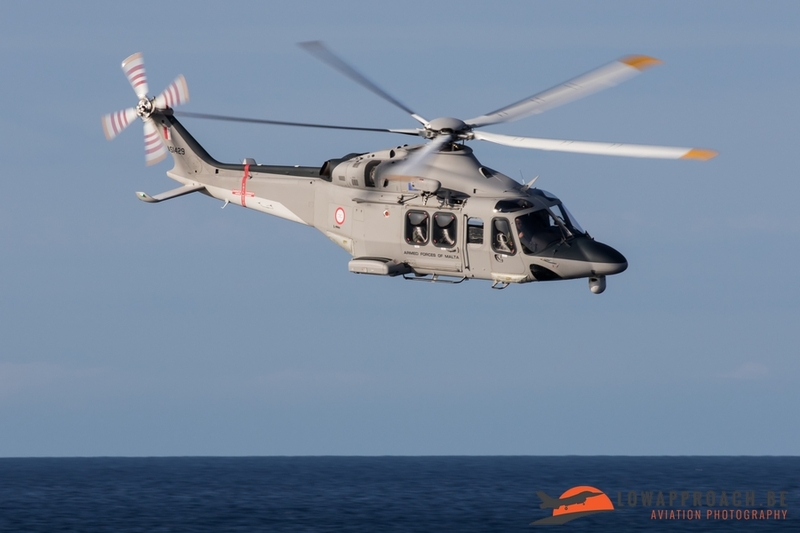 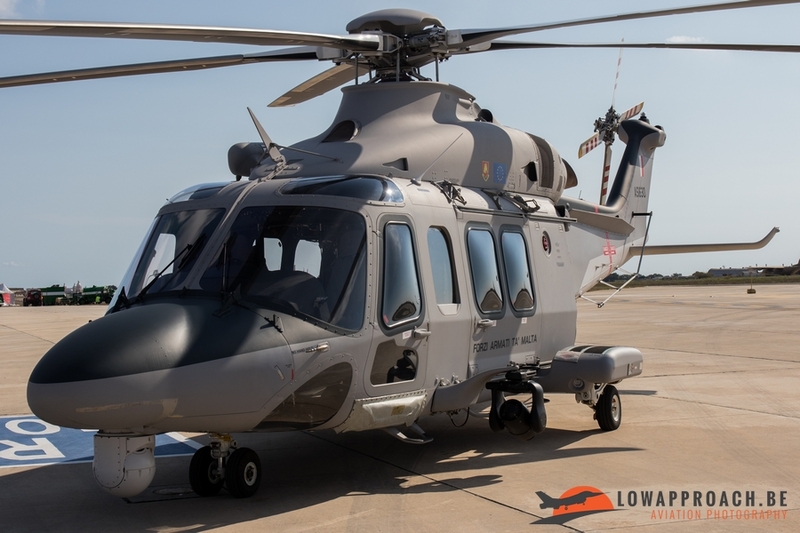 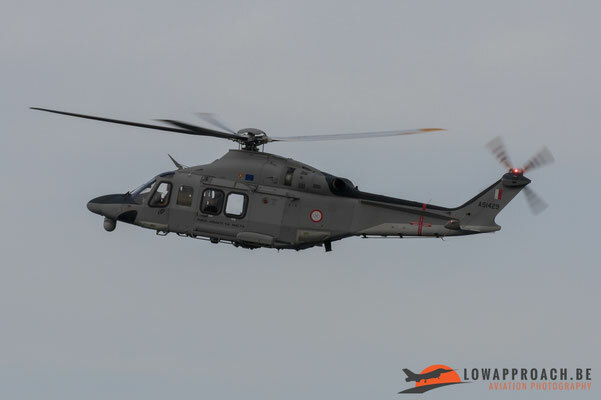 The Italian Guardia di Finanza attended with one of their AW-139 helicopters. The AW-139 from the GdiF is tasked with maritime patrol, search, exploration, medical evacuation flights and logistical transport. 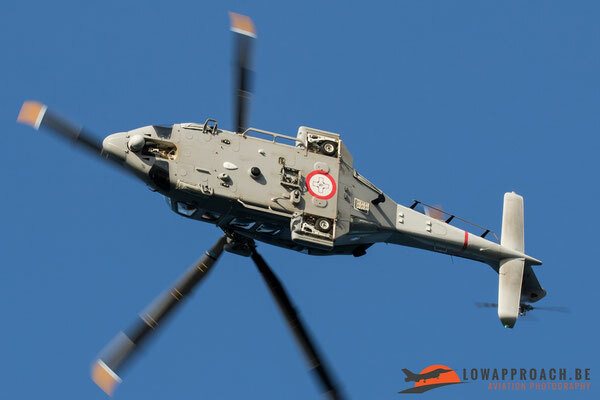 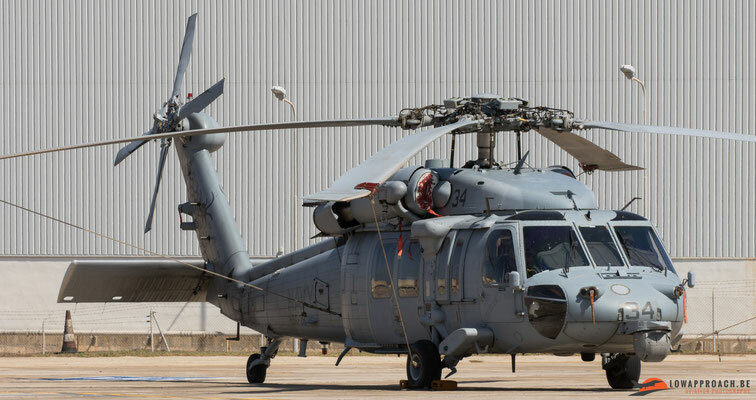 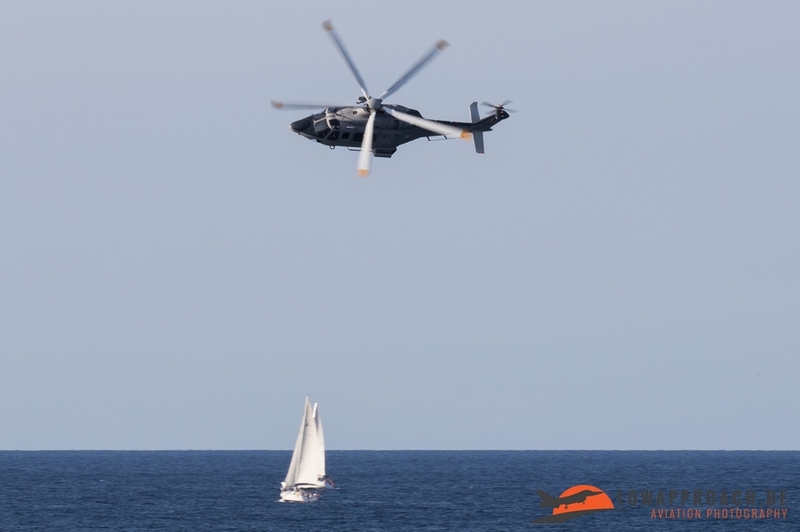 Another helicopter in the static was the US Navy MH-60 Seahawk. 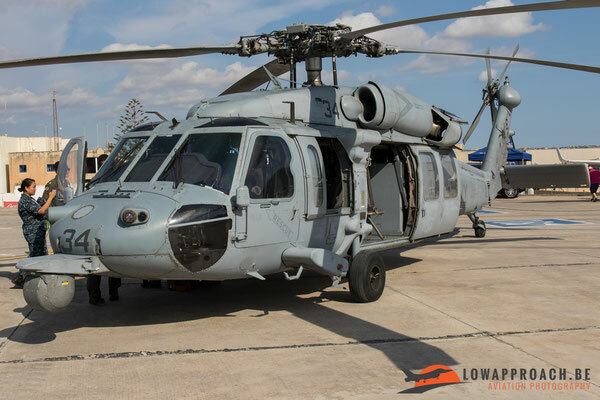 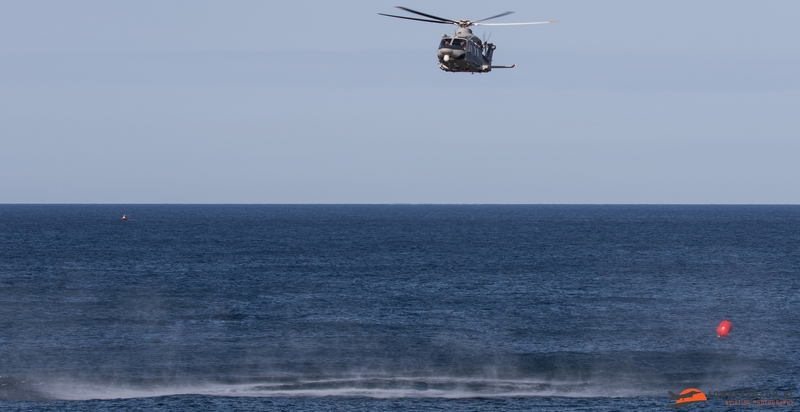 This MH-60 from HSC-28 is stationed in Naples (Italy) and can be used for following missions: anti-submarine warfare, anti-surface warfare, naval special warfare insertion and search and rescue (SAR). 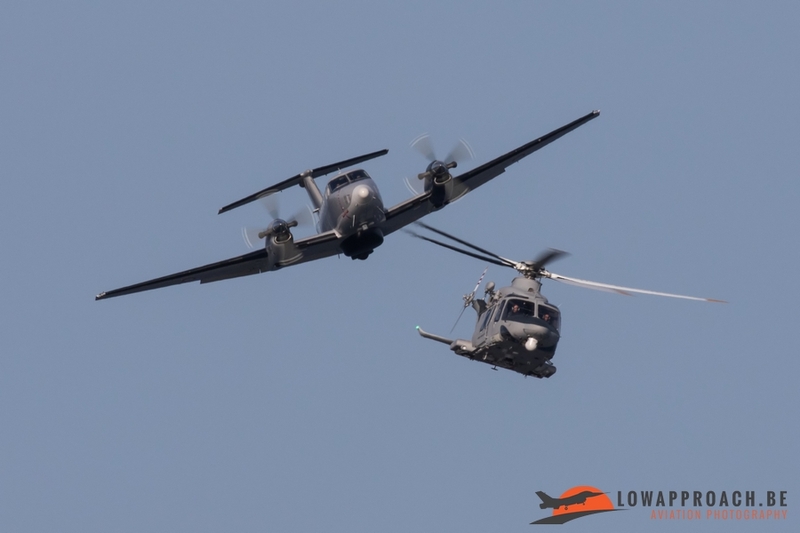 The German Navy “Marineflieger” sent two of their aircraft for the static display. 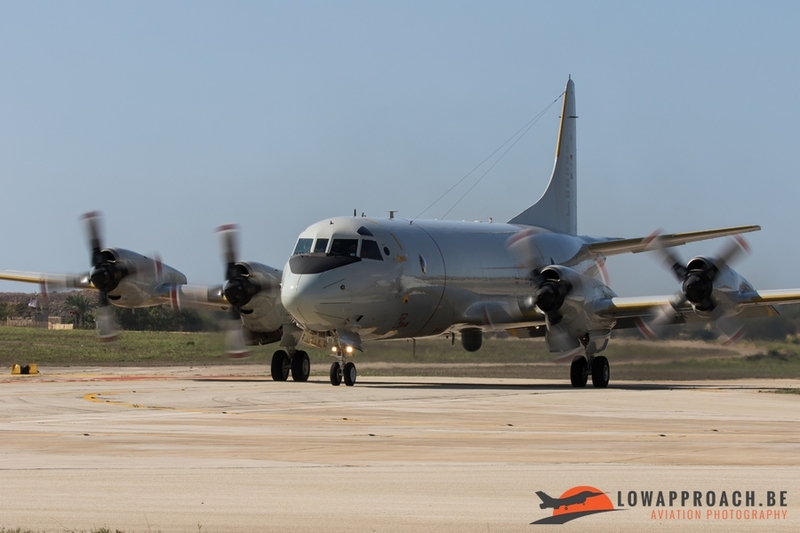 The first one being the Lockheed P-3C Orion of which the German Navy has eight of these in their inventory. These aircrafts were bought in late 2004 from the Royal Netherlands Navy. The Lockheed P-3 Orion is a four-engine turboprop anti-submarine and maritime surveillance aircraft. The second was a Dornier Do228NG used for Pollution Control, both are operated from NAS Nordholz by Marinefliegergeschwader 3 'Graf Zeppelin'. 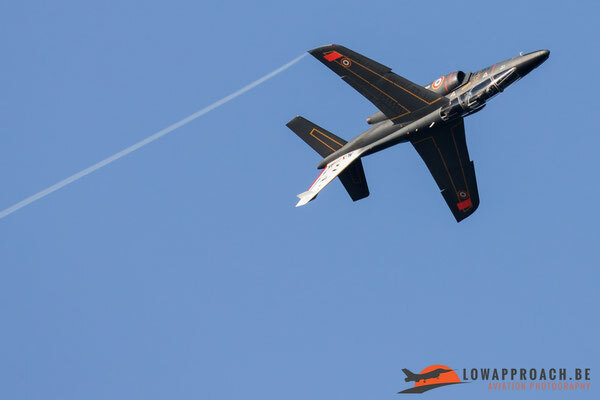 The Hellenic Air force also participated in the 25th edition of the MIAS with the T-6A Texan II sent by the "Daedalus" Demo Team. 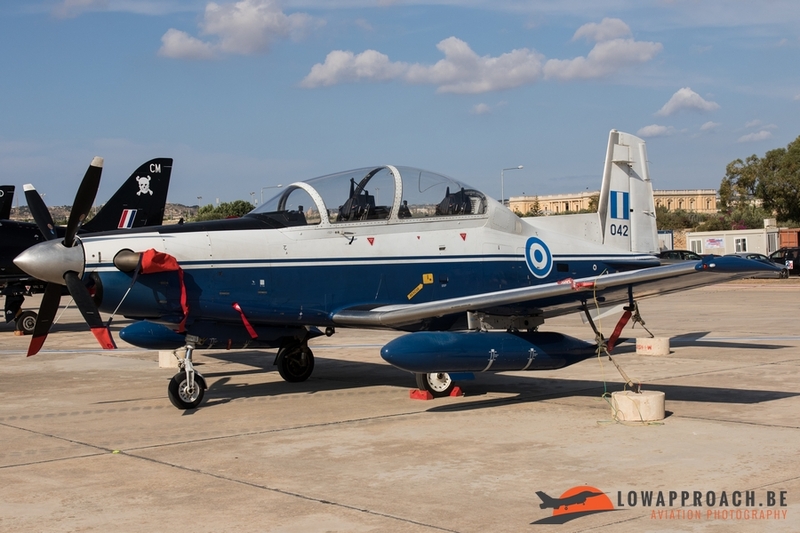 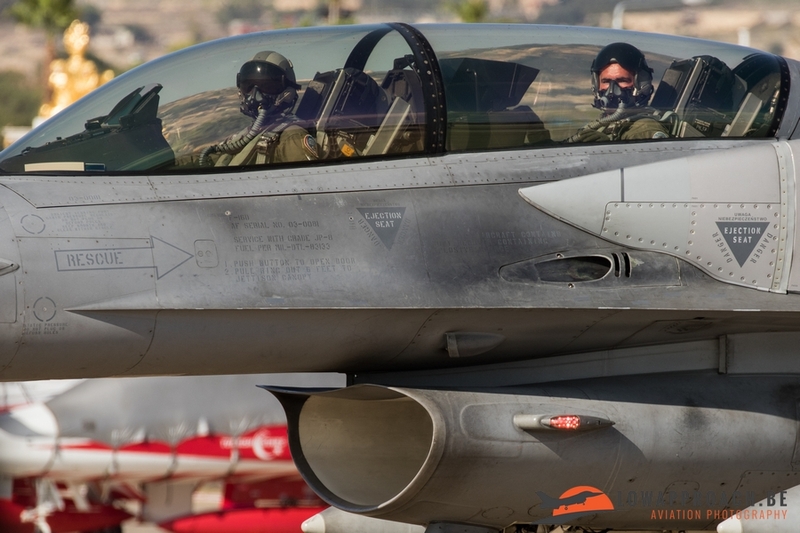 The Hellenic Air Force participated for the 3th time in the history of the Airshow. 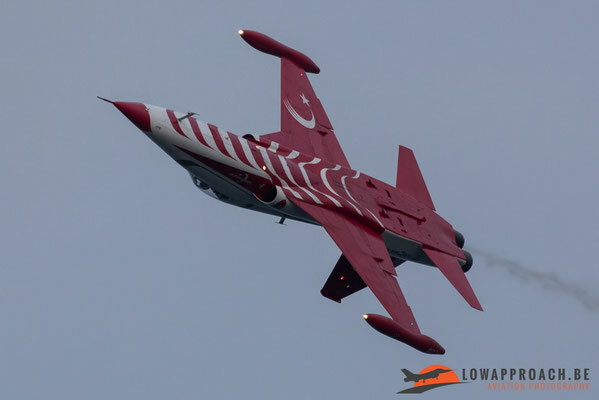 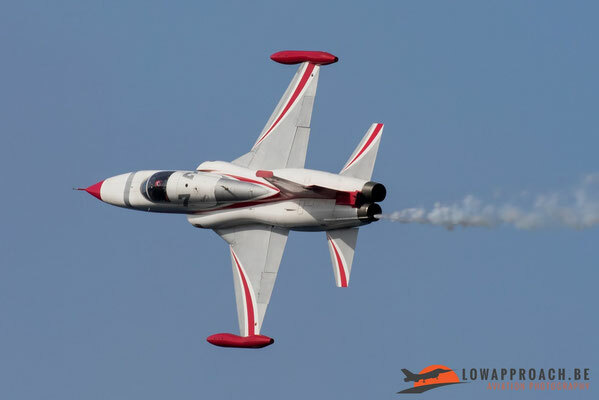 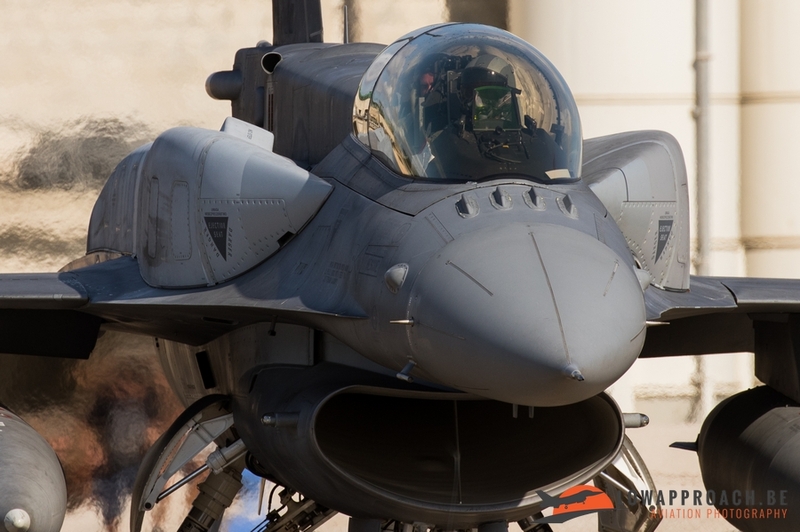 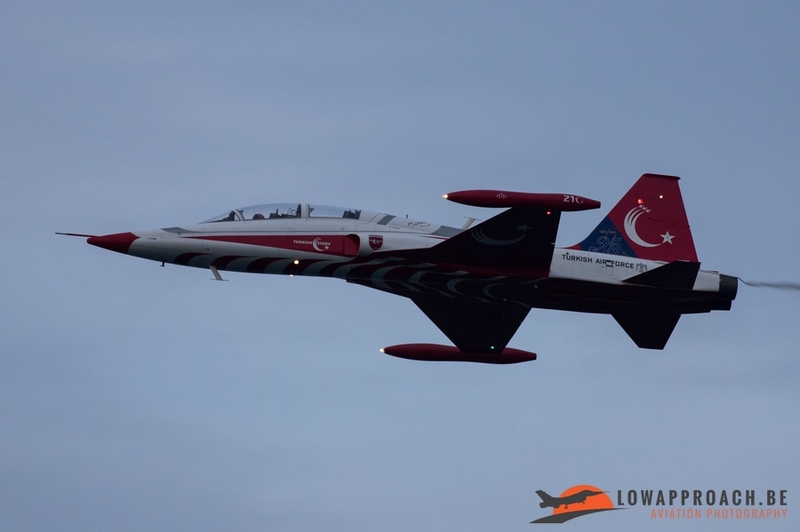 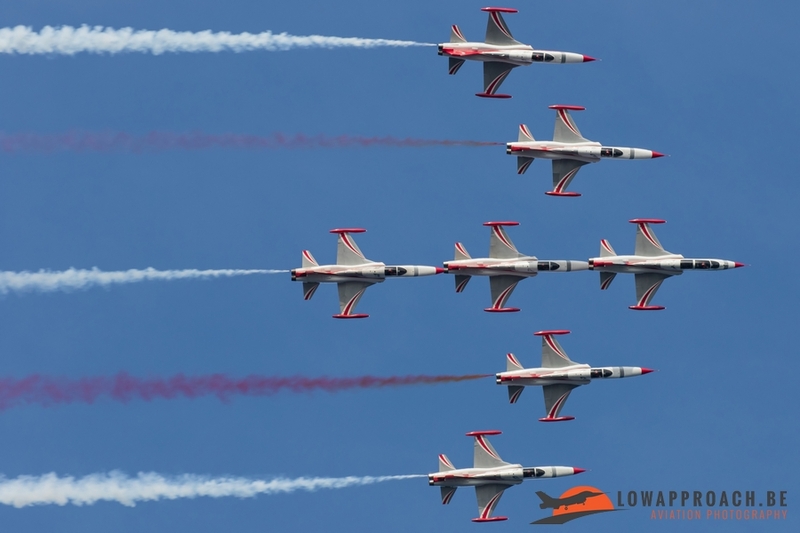 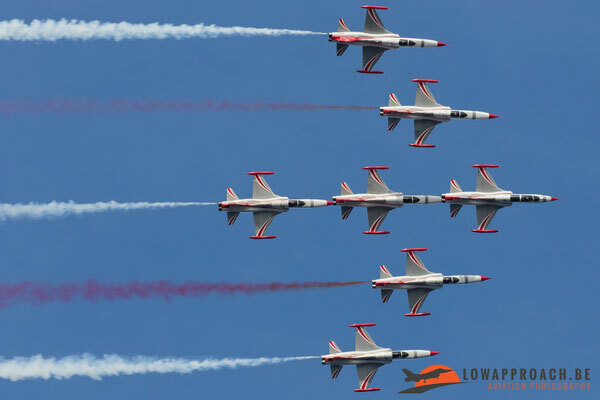 Another big contributor in the Static Display was the Polish Air Force and Polish Navy: for the first time in the history of the airshow there was the participation of the F-16D Block 52. 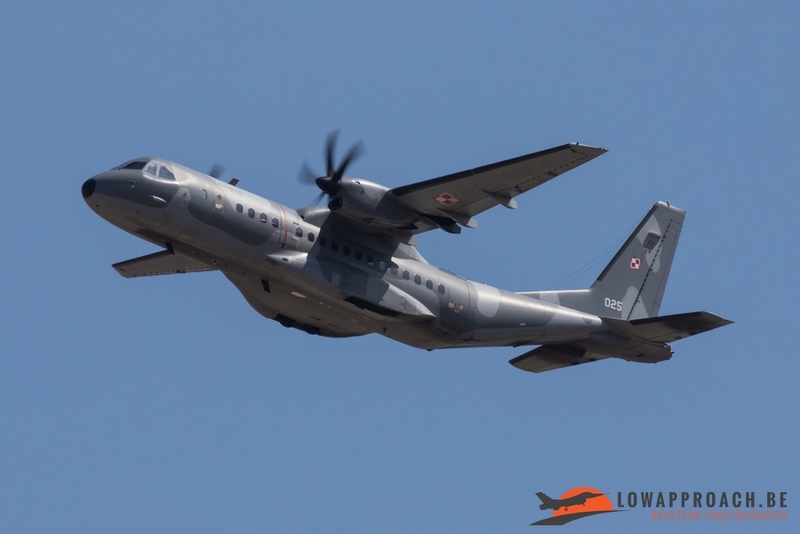 Also the Casa C-295M transport aircraft from the Polish Air Force could be seen. 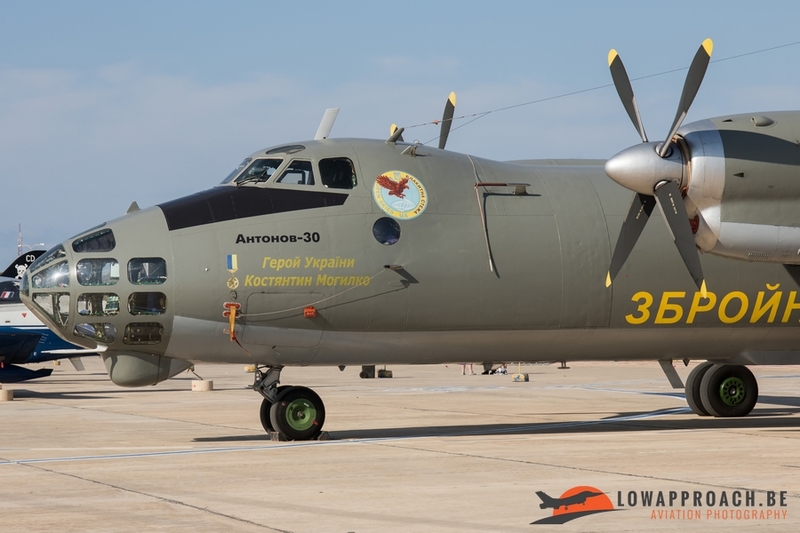 The Polish Navy sent the M28B Bryza from 43.BLM. 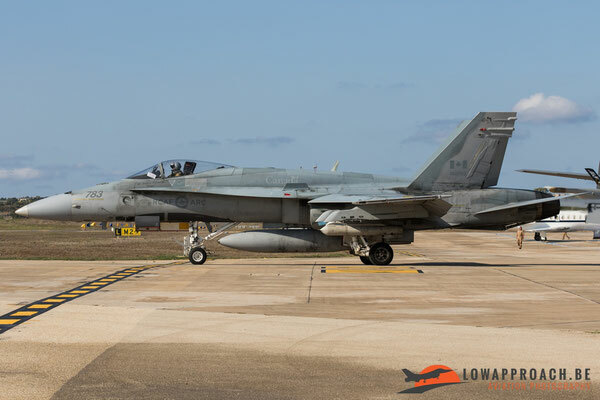 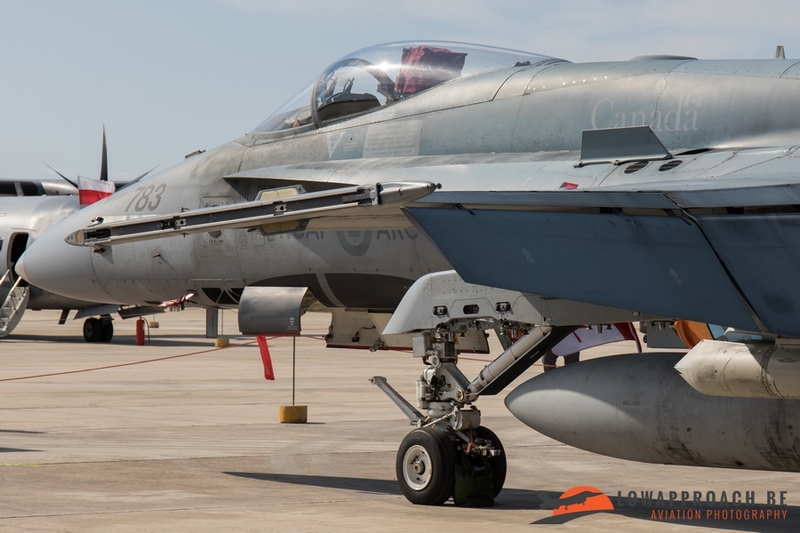 Another highlight was the Canadian Air Force that attended with the CF188 Hornet from 433 Squadron, they are currently in Europe for training and for Southern Air Policing. 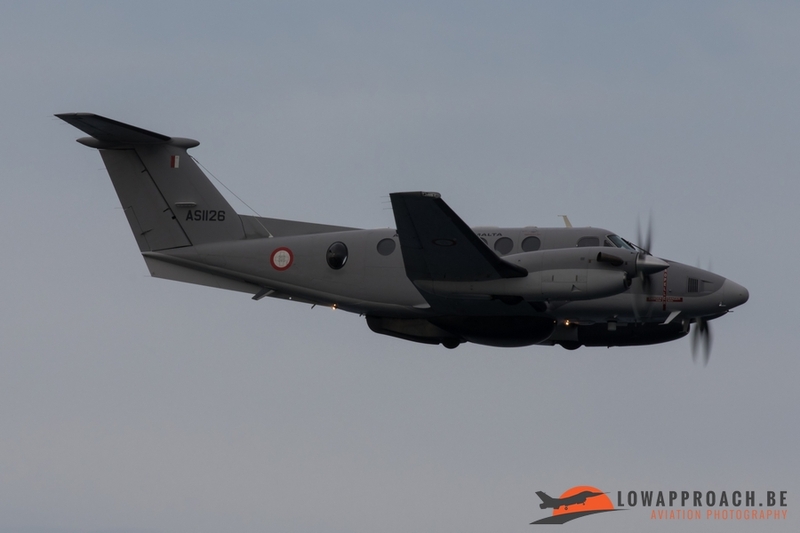 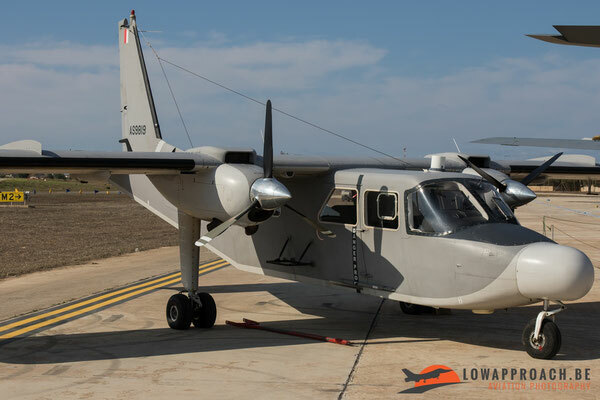 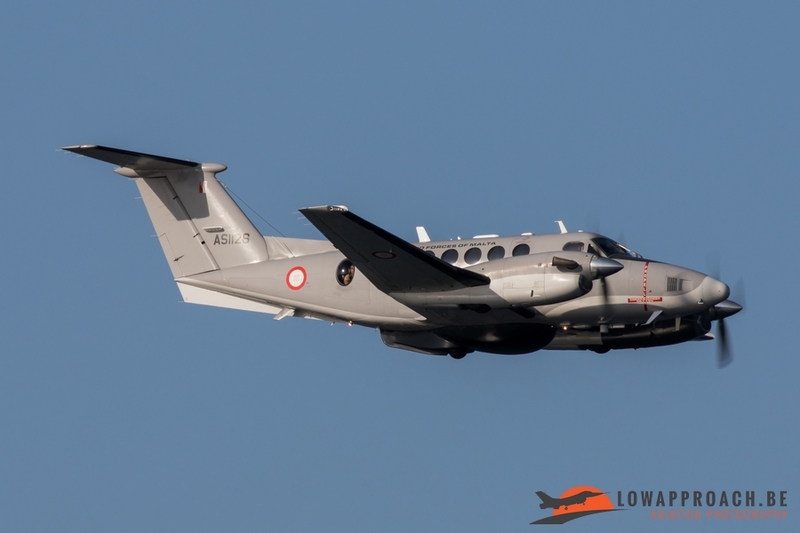 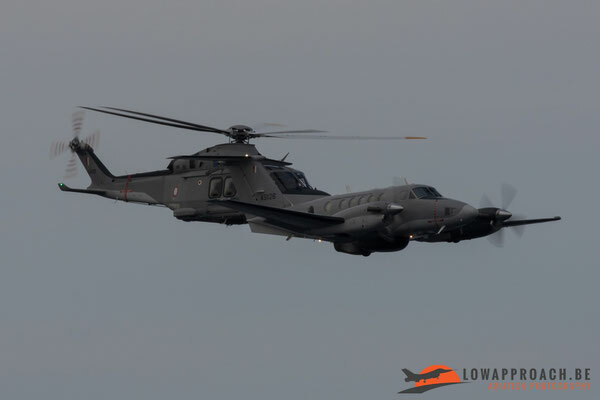 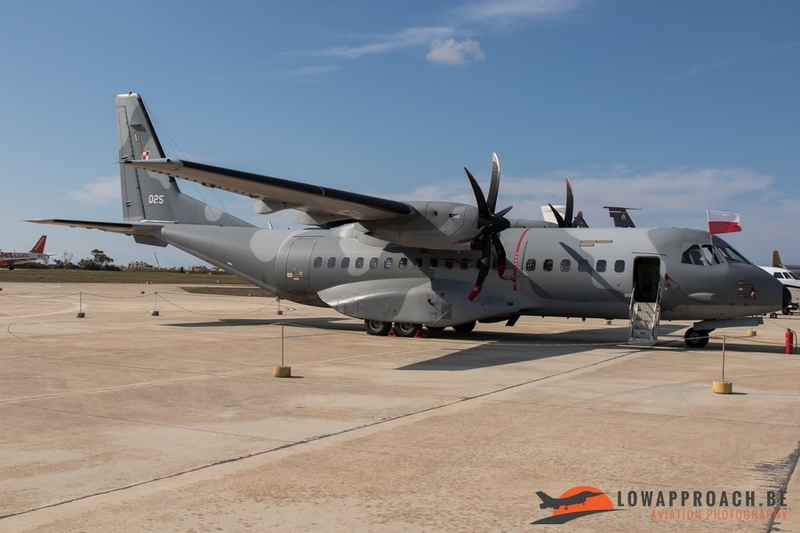 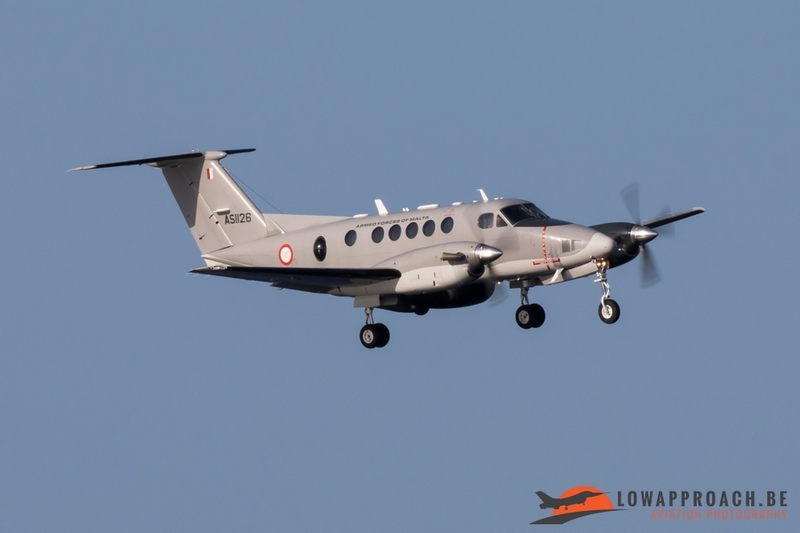 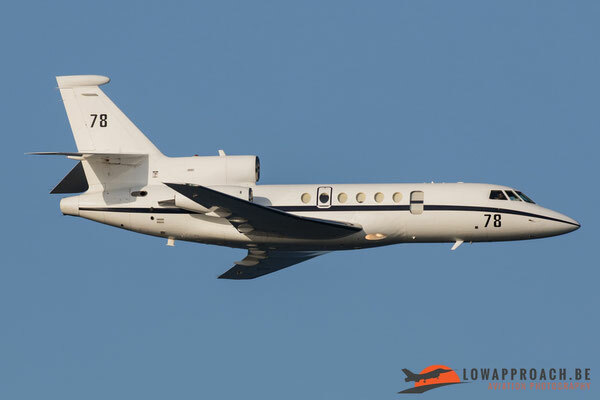 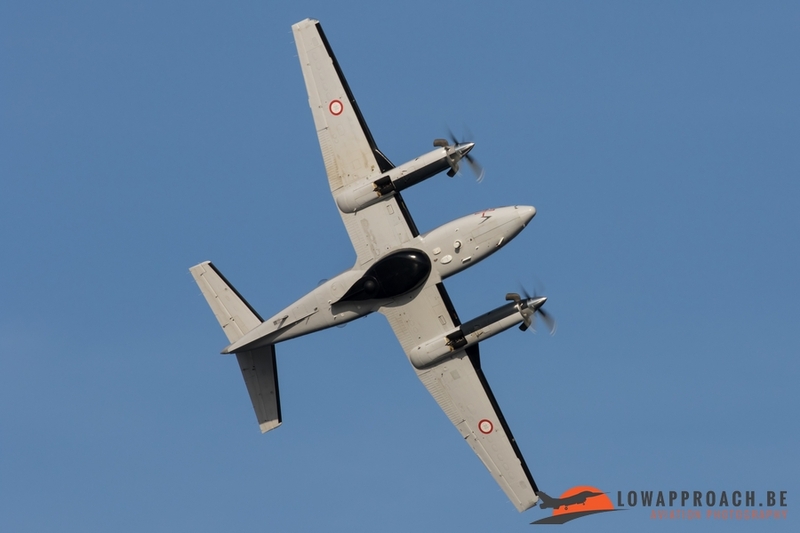 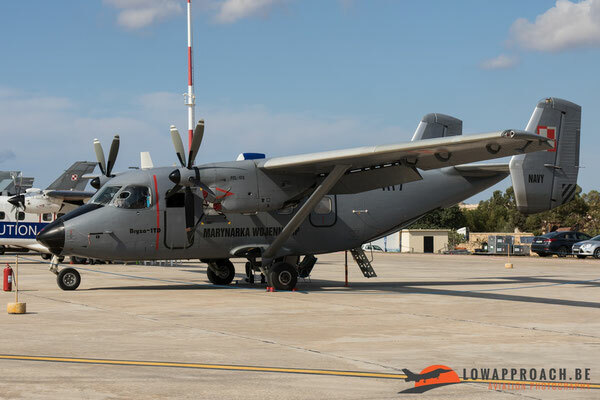 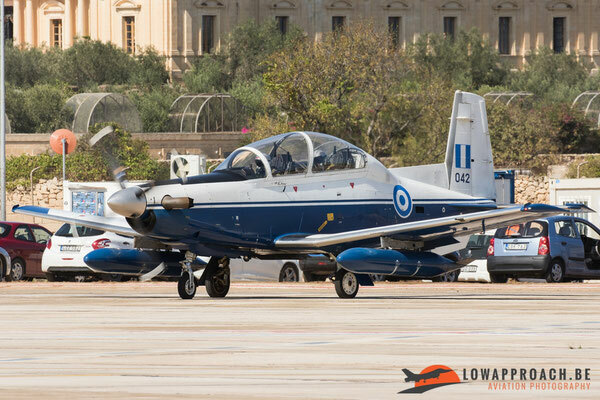 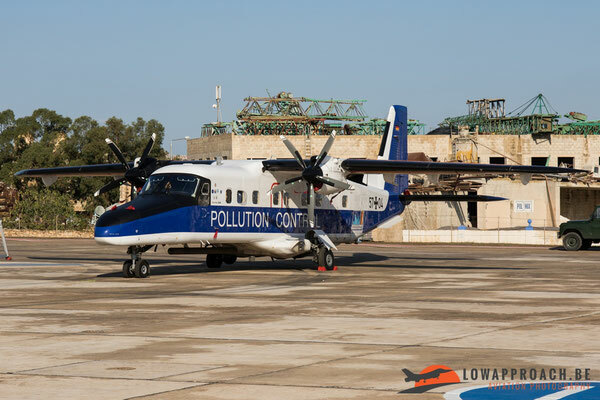 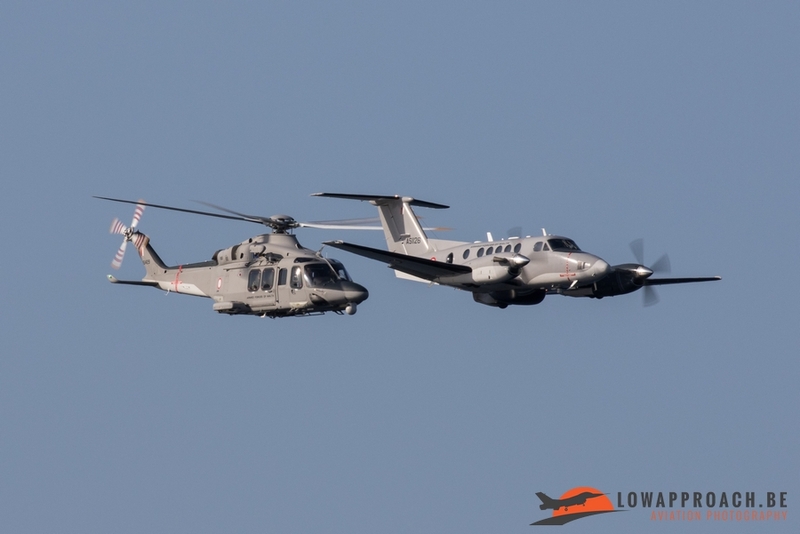 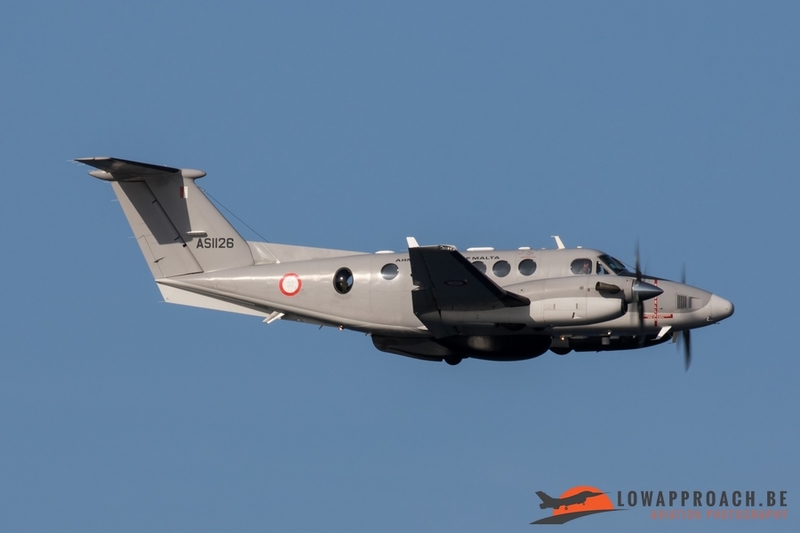 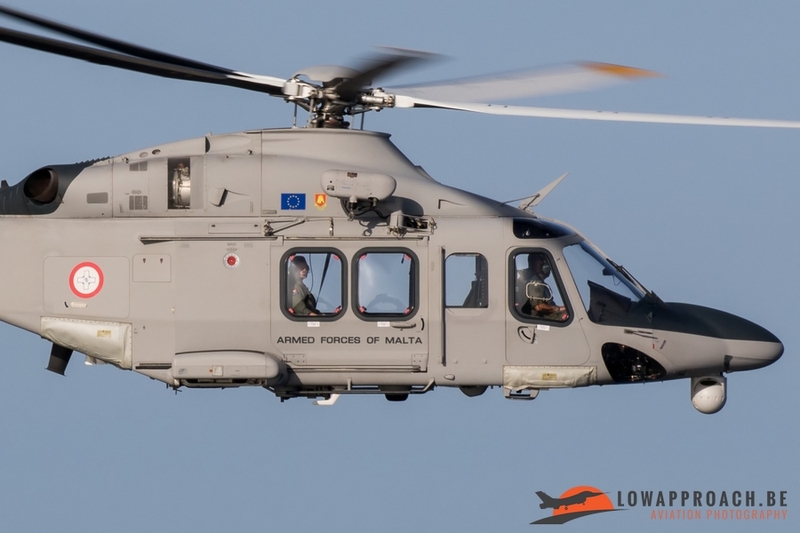 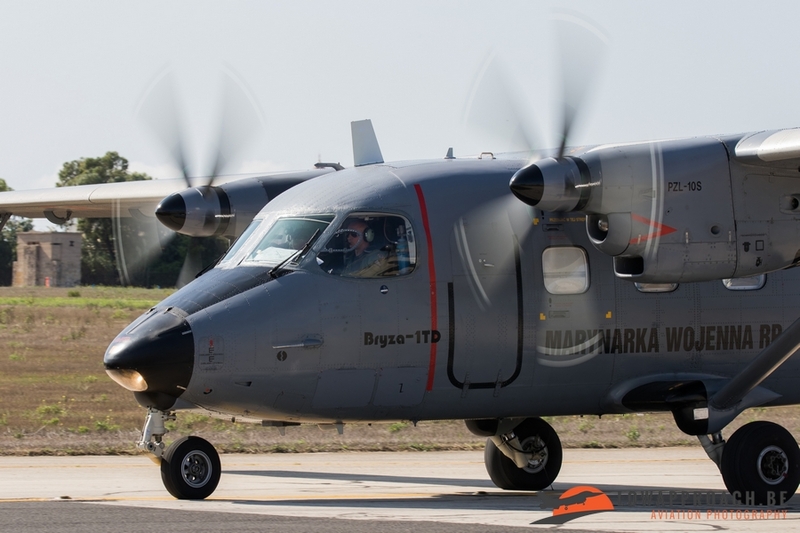 The Armed Forces of Malta also had airplanes in the static in form of the BN-2T Islander, the Agusta Westland AW-139 and another Air Wing asset was the fixed wing Hawker Beechcraft King Air B-200MPA. 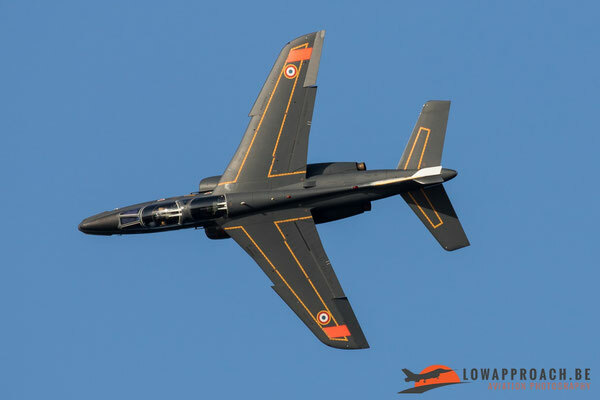 Afterwards these last two did also participate in the flying display, more of this later in the report. 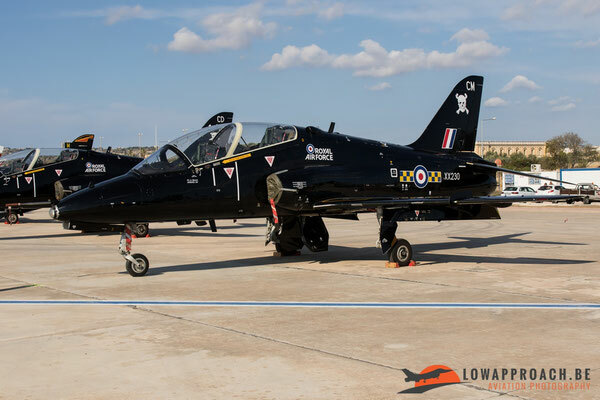 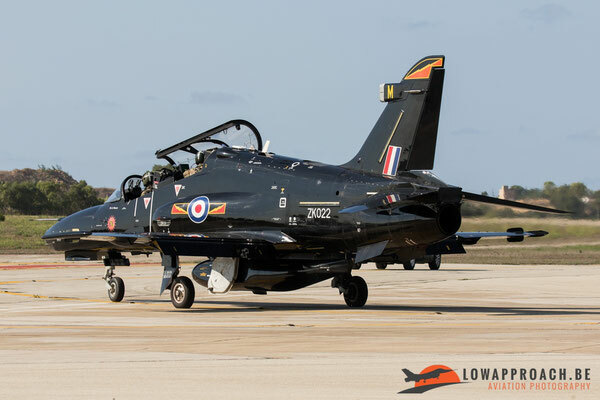 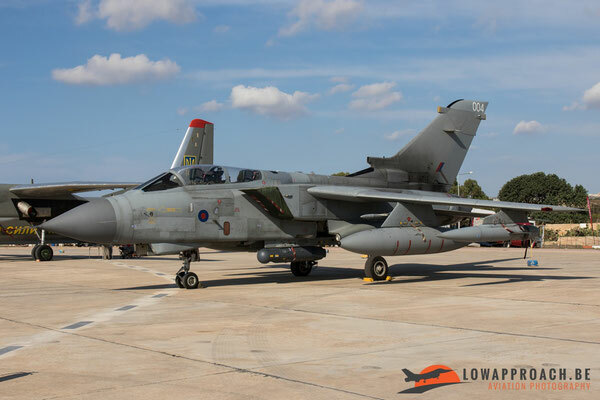 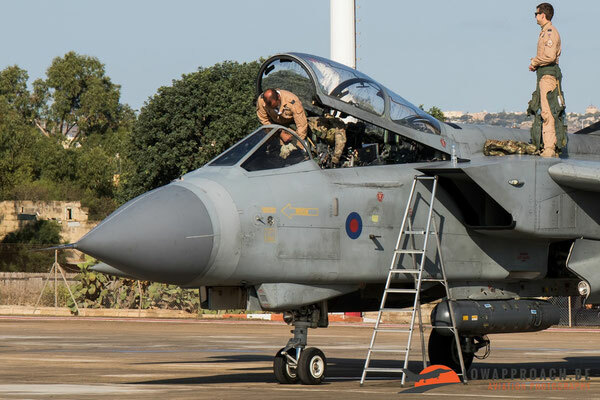 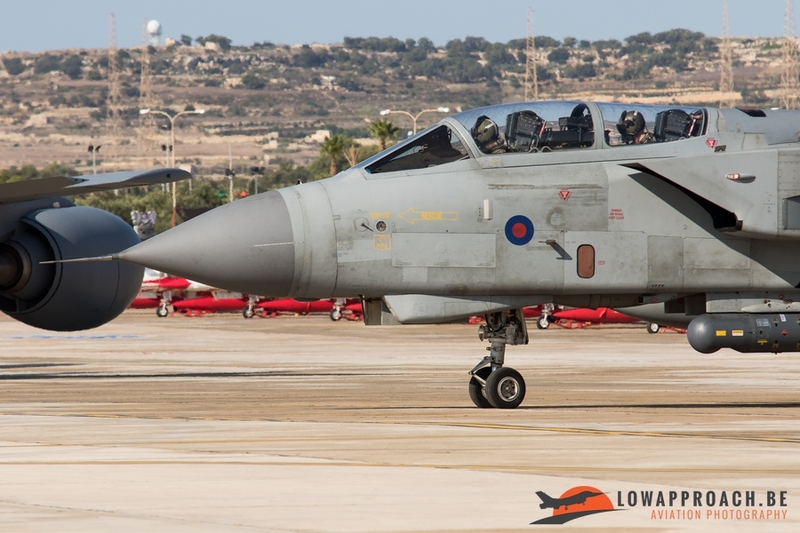 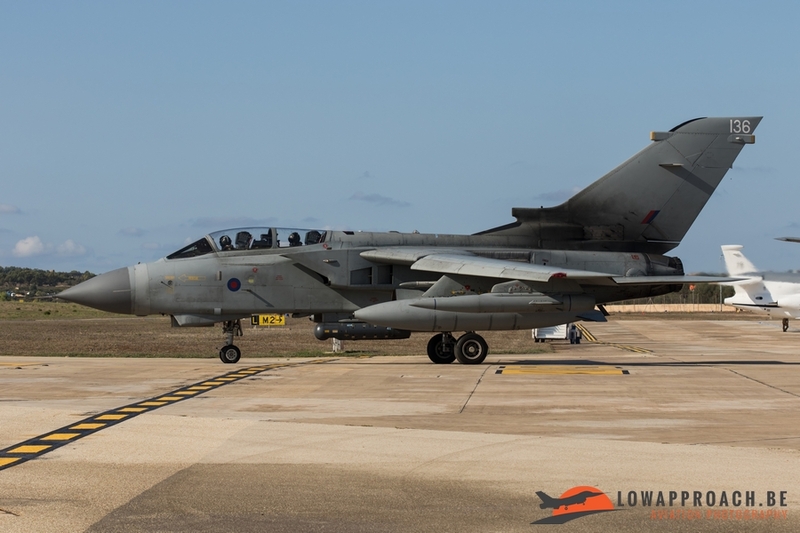 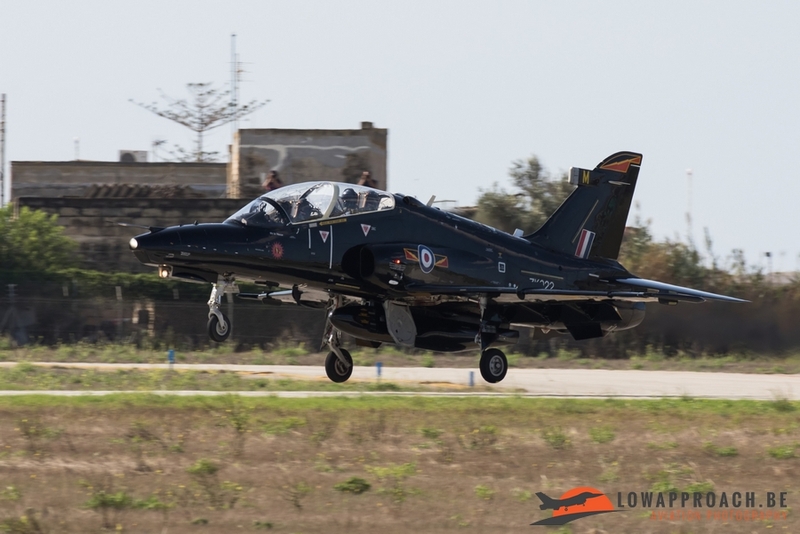 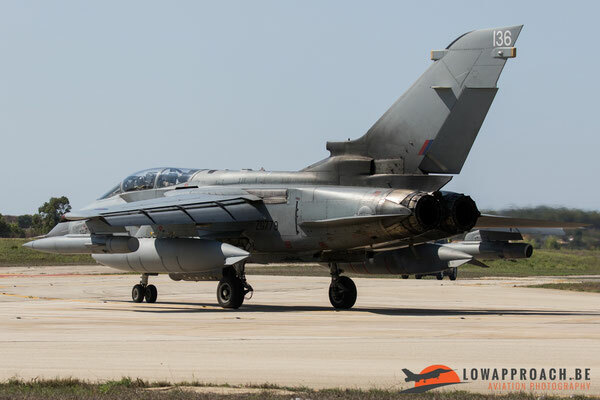 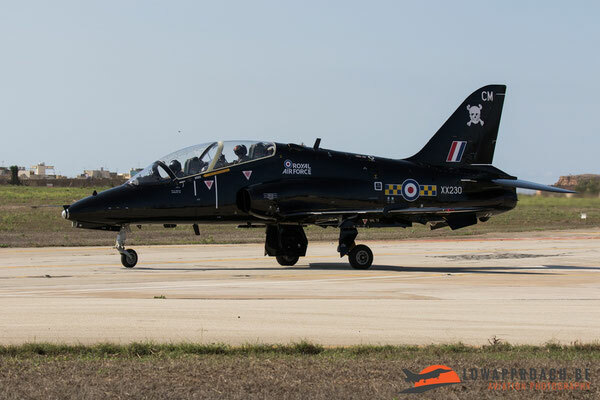 The Royal Air Force came to Malta for the static with five of their airplanes: two Tornado GR4’s from RAF No 9 Squadron based in RAF Marham in Norfolk, two Hawk T1’s from RAF No 100 Squadron based at RAF Leeming in North Yorkshire and 1 Hawk T2 from RAF No IV(R) Squadron based in RAF Valley. The USAFE “US Air Force Europe” sent a KC-135 Stratotanker, based at RAF Mildenhall Air Base in the UK, to the show. 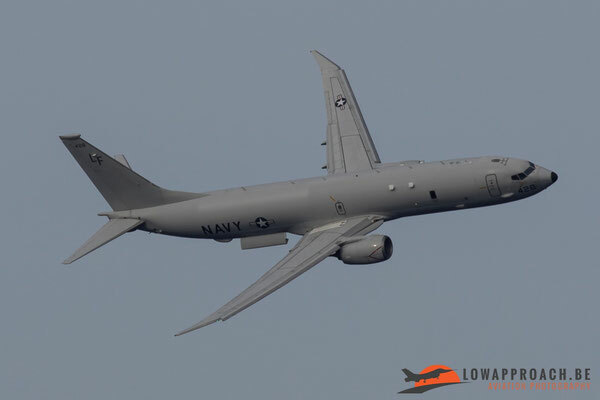 In the near future the KC-135 will be replaced by the modern KC-46 Pegasus. 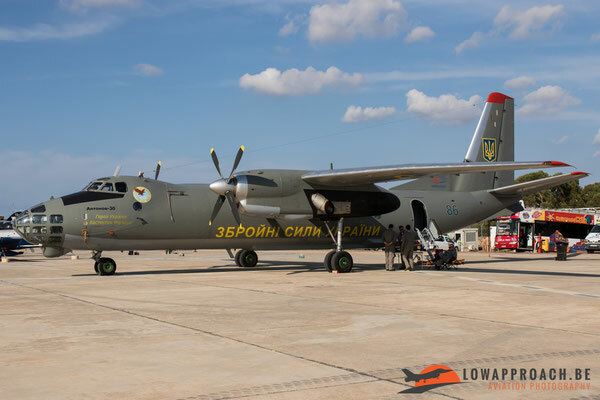 The absolute highlight in the Static Display was the participation from the Ukraine Air Force An30 ''Open Skies'' because these are rarely seen nowadays. 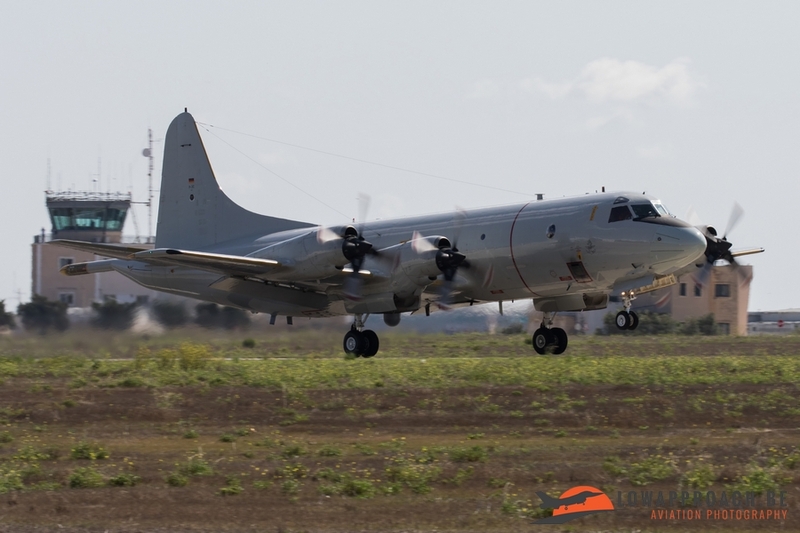 The Treaty on Open Skies is an agreement for military transparency and building confidence by permitting observation flights over almost the full territory of each country that signed the agreement. The Antonov An30 is a development of the An24 and is specially designed for aerial photography. 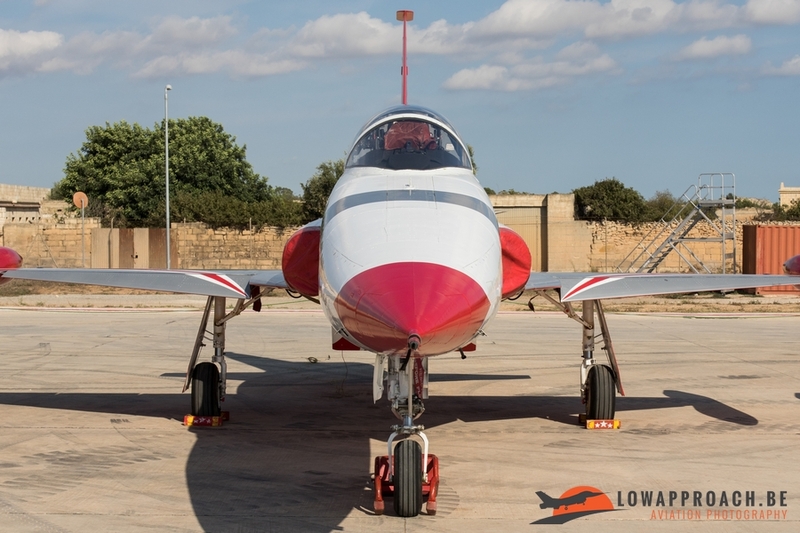 In total about 124 were built between 1971 and 1980. 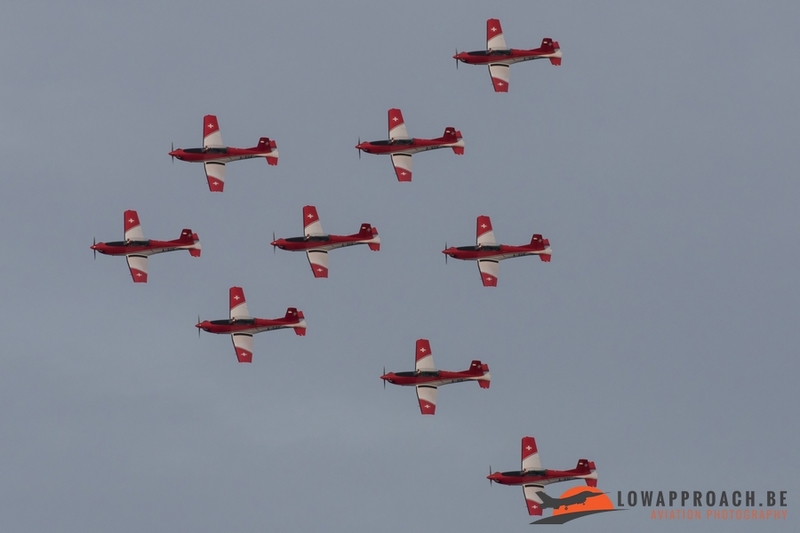 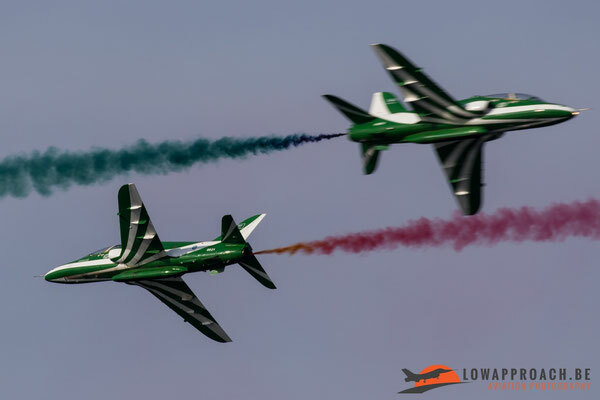 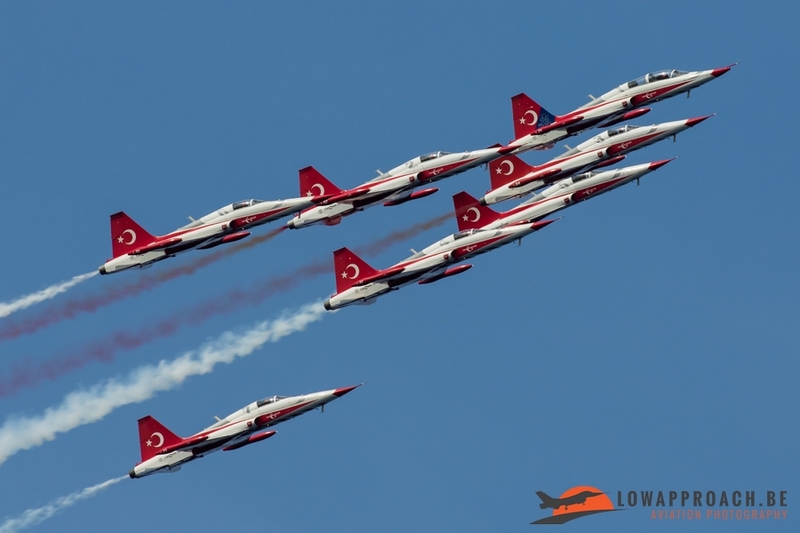 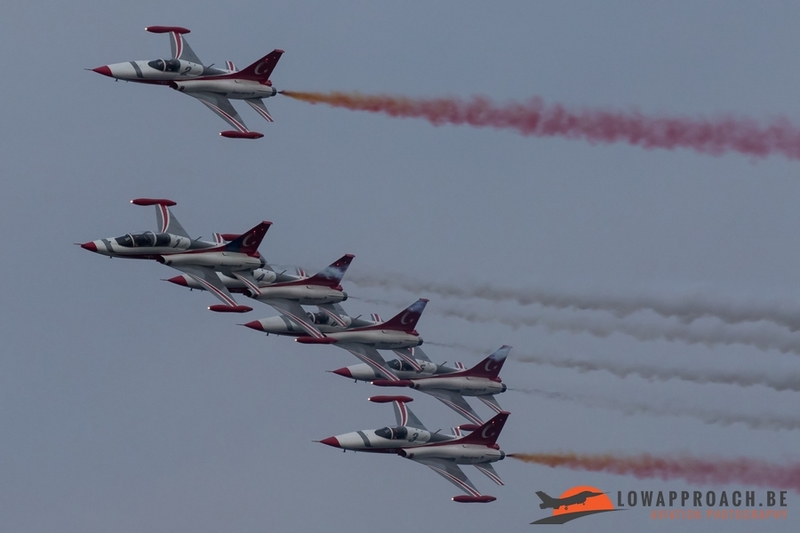 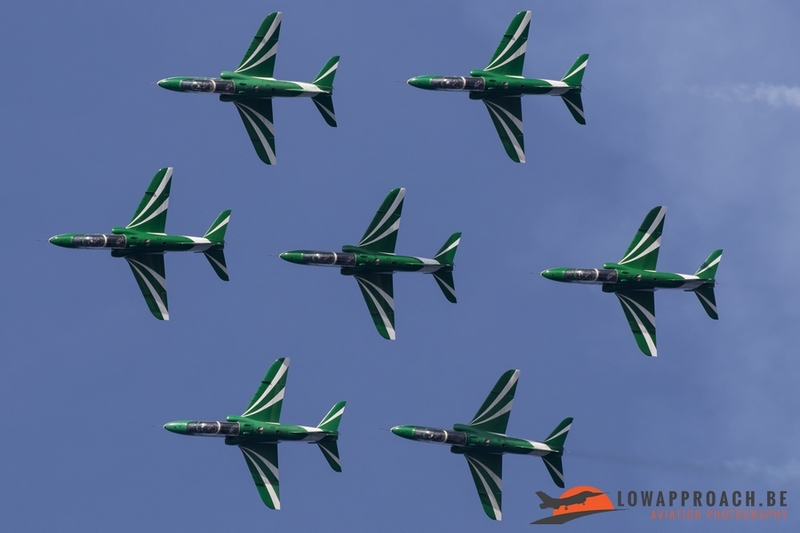 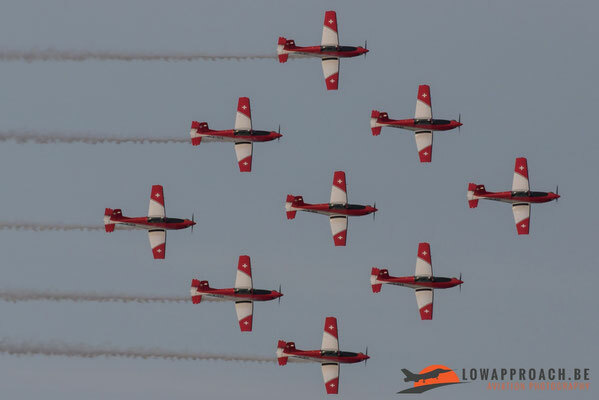 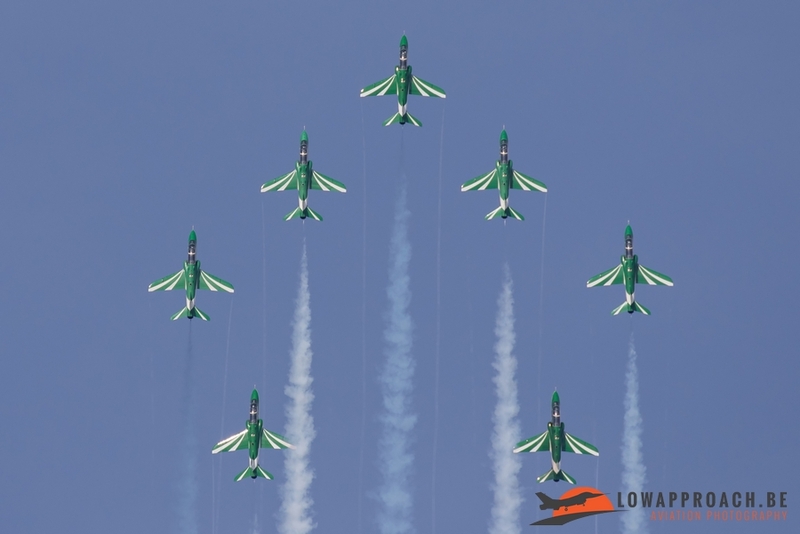 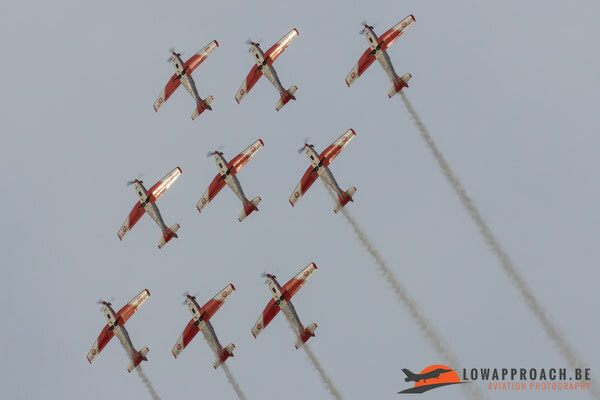 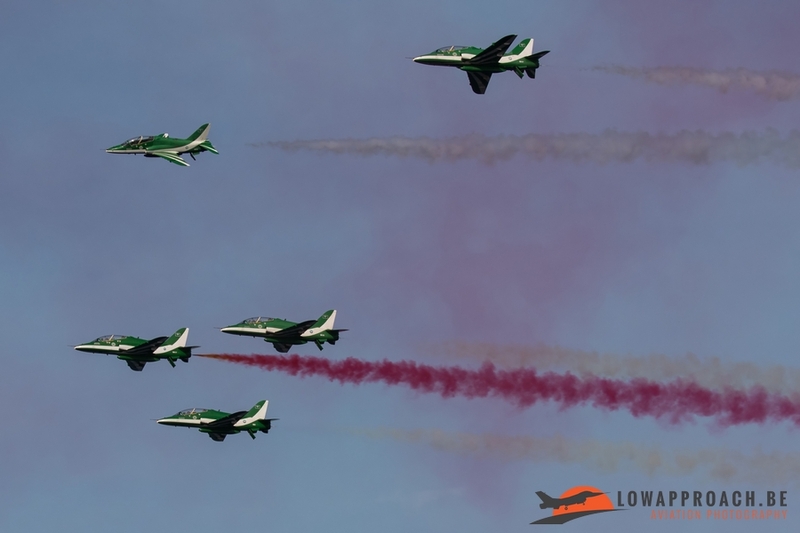 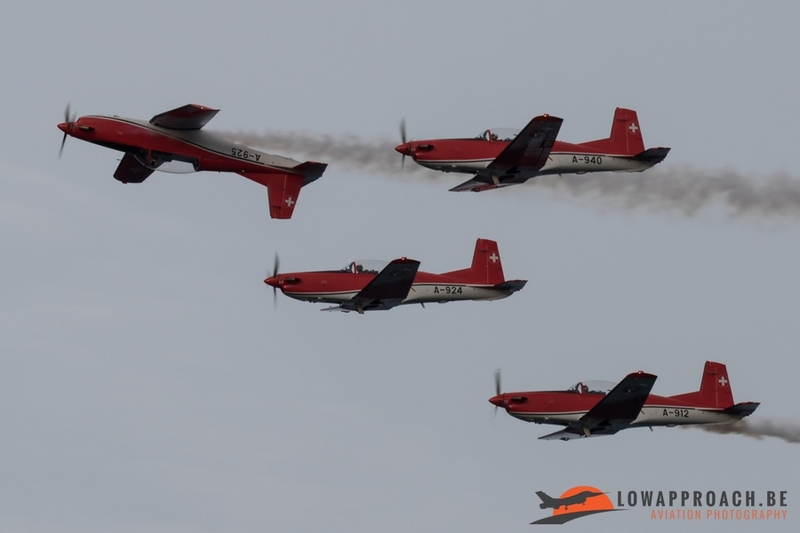 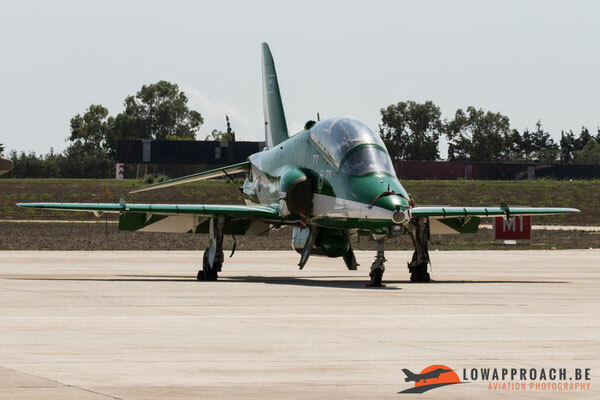 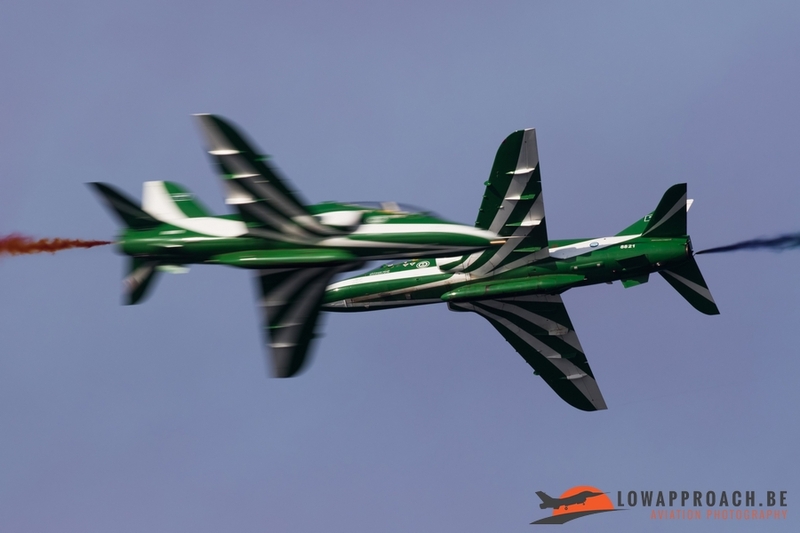 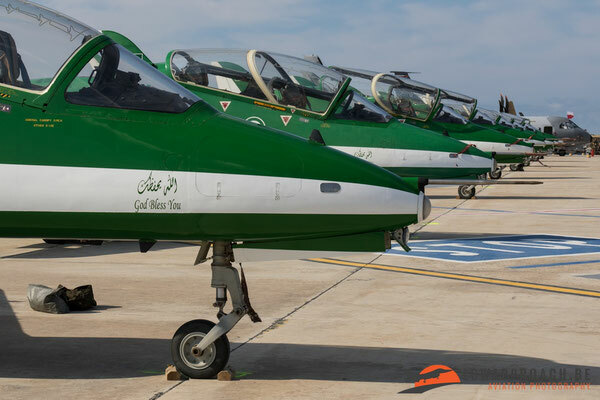 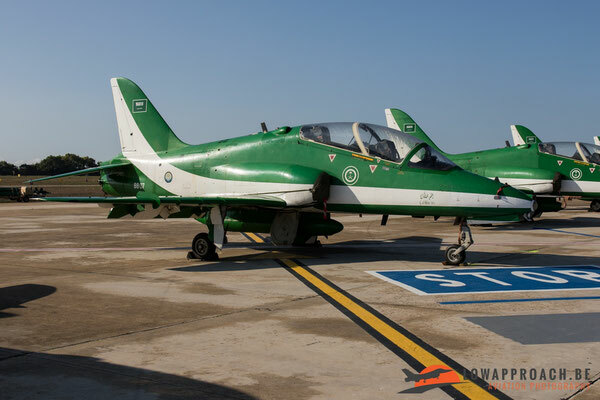 Also the participators for the flying display of the Airshow could be seen in the static, the three attending demo teams were the Saudi Hawks from Saudi Arabia, the Turkish Stars from Turkey and from Switzerland the PC-7 Team. 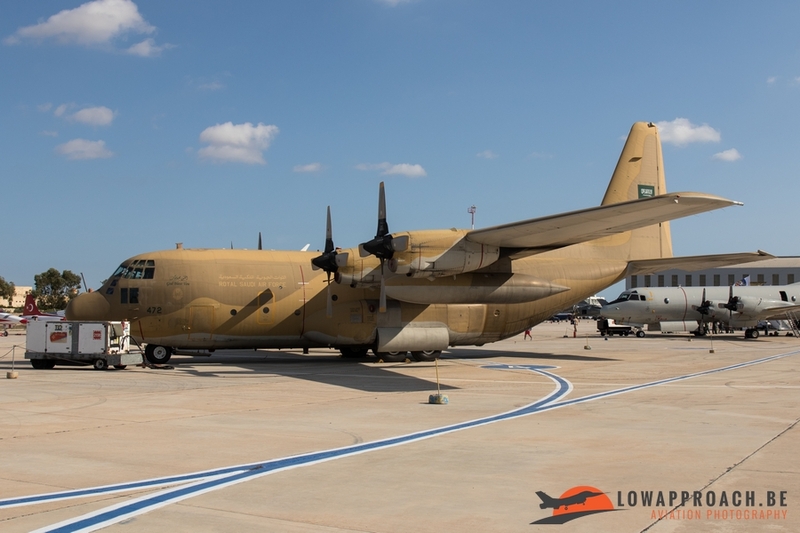 Also the C-130 from the Saudi Arabian Air Force that came in as support aircraft was put in static afterwards. 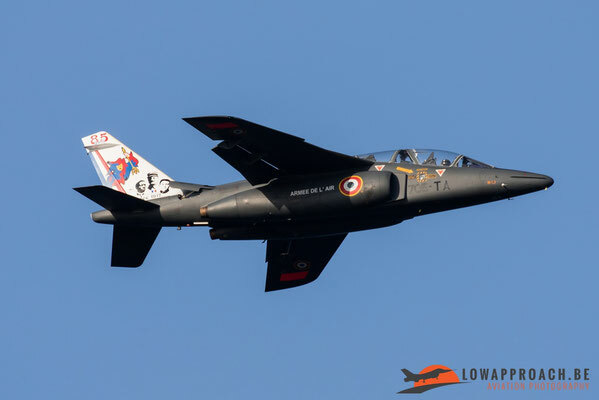 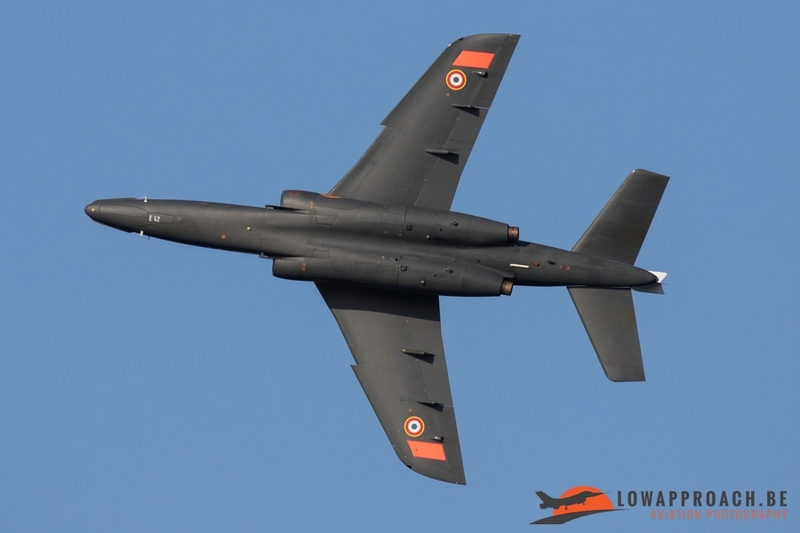 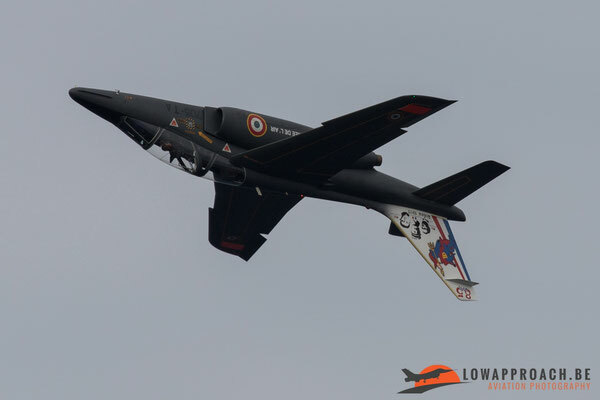 The French Air Force sent the Alpha Jet Solo Display to the Airshow and the French Navy sent one of their Falcon 50SURMAR to do some flybys. 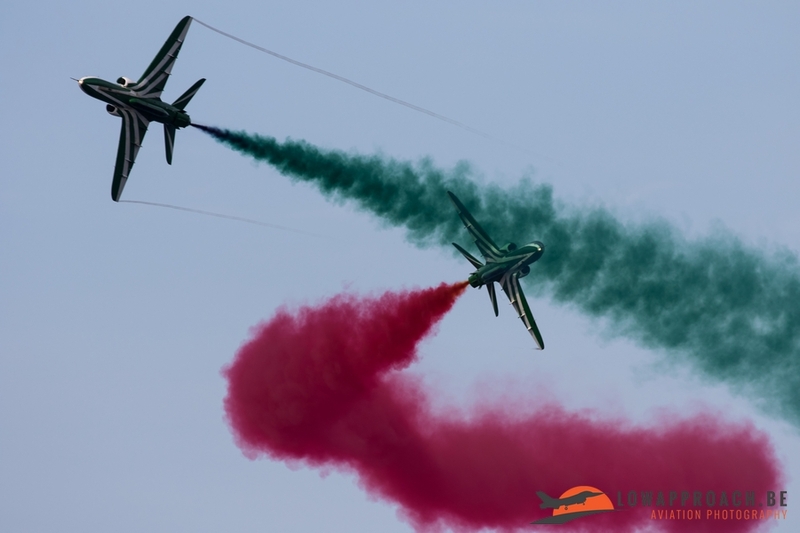 As mentioned before the flying display took place at Smart City. 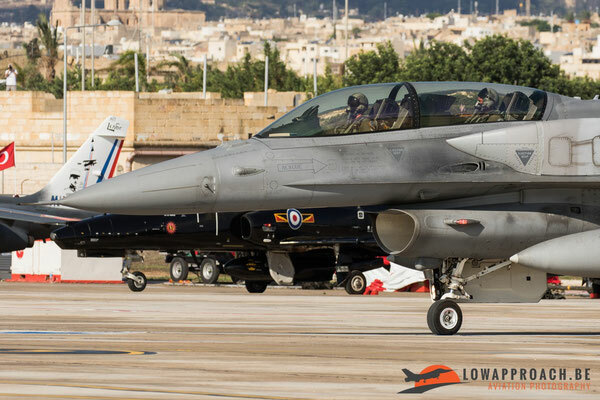 SmartCity is a technology park under development in Kalkara, Malta about 10km north of the Airport of Malta the works in SmartCity should be completed in 2021. 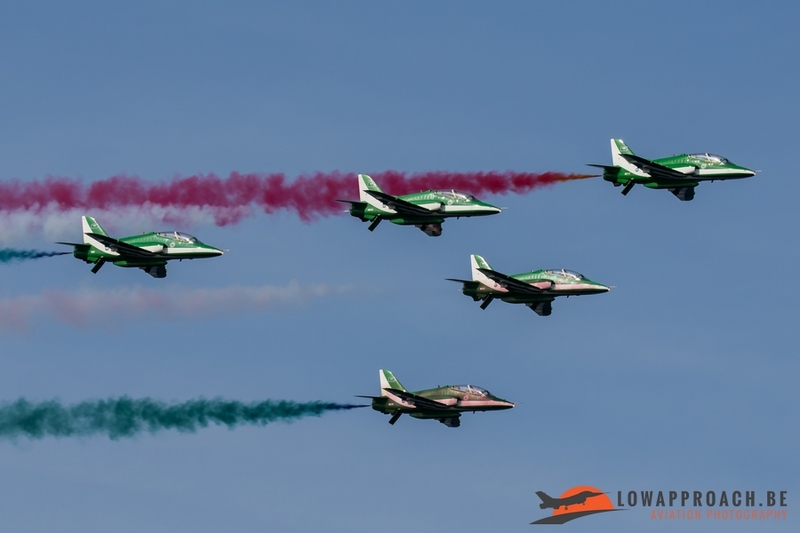 The first offices in SmartCity already opened some years ago. 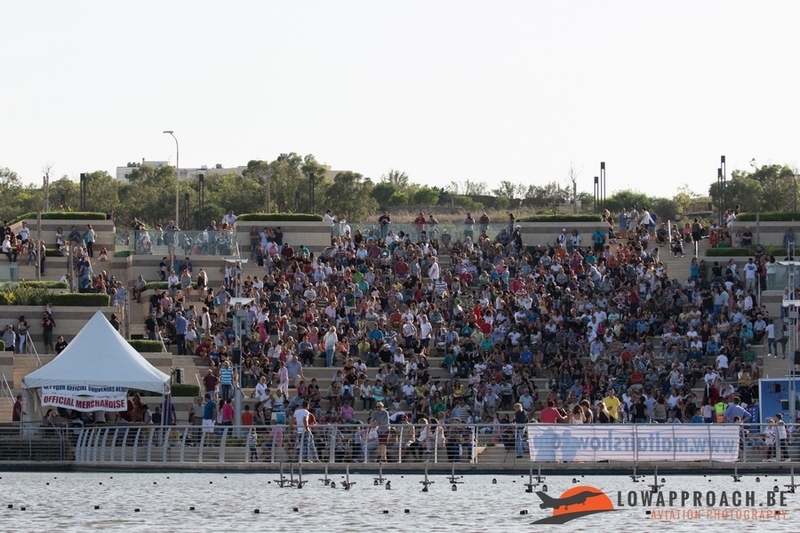 It looks a very modern place with restaurants, offices and in the middle of the place a dancing fountain. 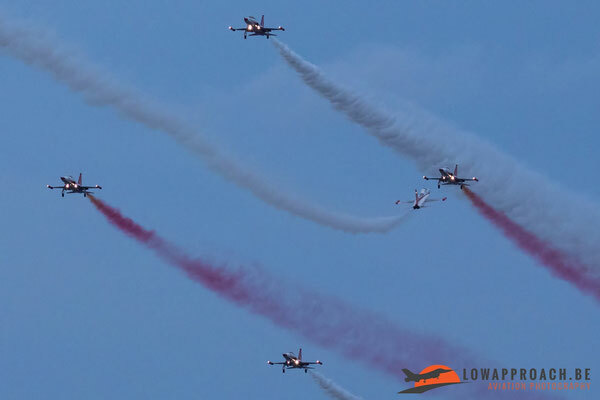 SmartCity also provides place for a huge public square of 118.000m², to serve as a primary recreational area for neighboring communities. The flying display started at 16.00h in the afternoon on both days and ended around the clock of 19:00h. 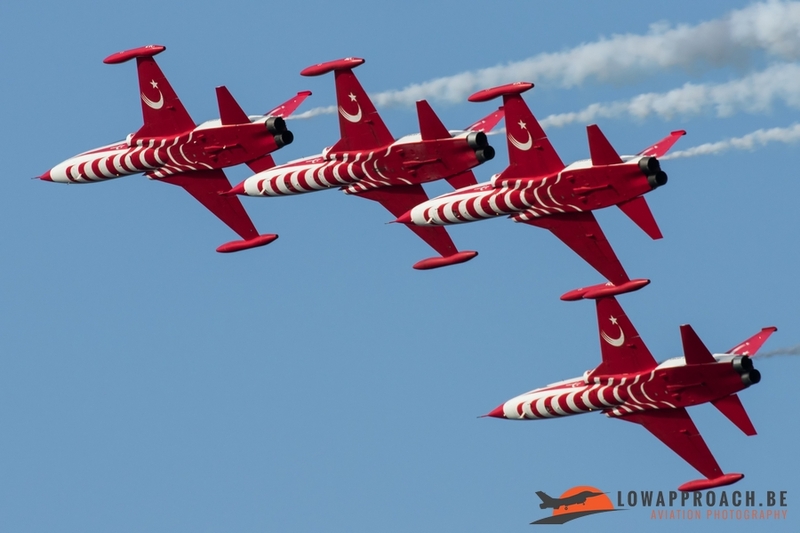 A big advantage is that the sun is in your back at the time the shows begins. 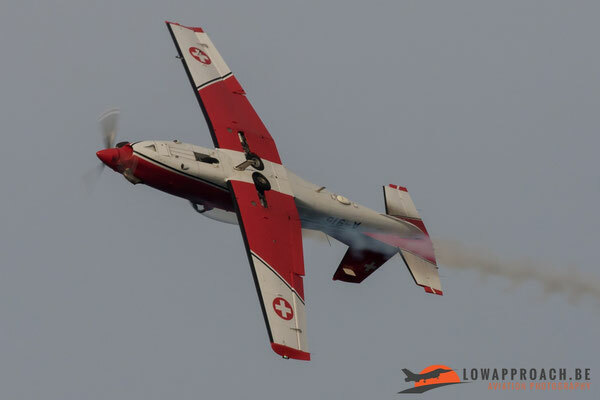 Nevertheless on Saturday the show started with some sunrays but during the show more and more clouds collapsed over the area. 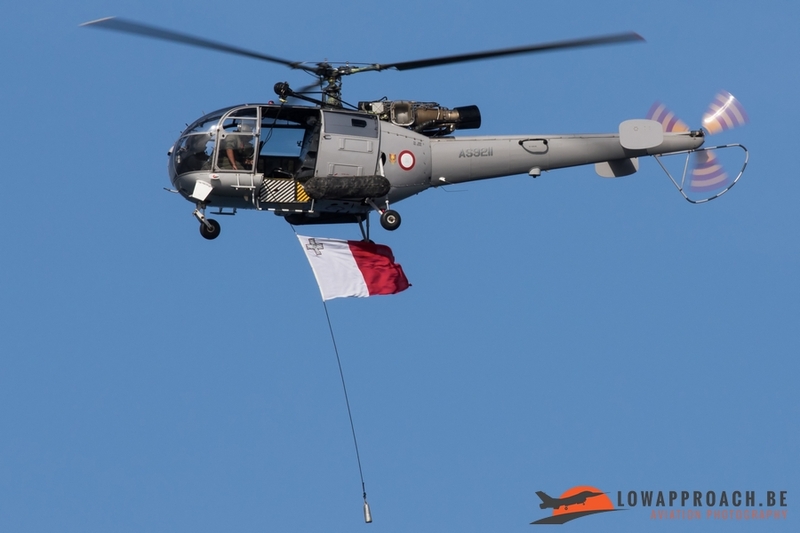 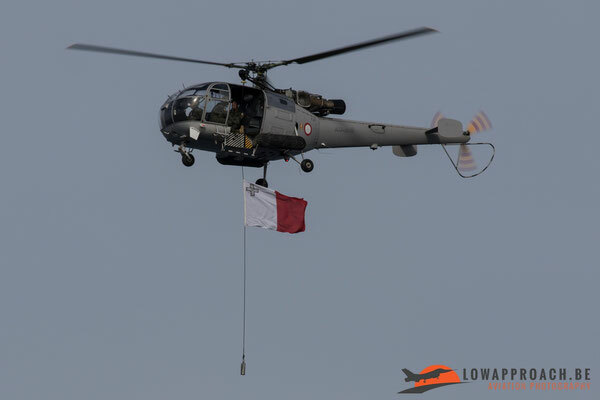 The program on Saturday started with the flyby of an Alouette III from the Armed Forces of Malta with the salute of the flag from Malta. Between every flying asset there was some time left, this created a very nice and relaxed atmosphere. 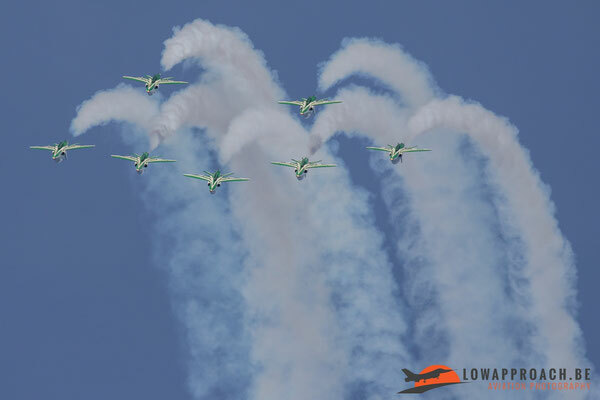 After the flyby of the Alouette III it was time for the performance from the Saudi Hawks. 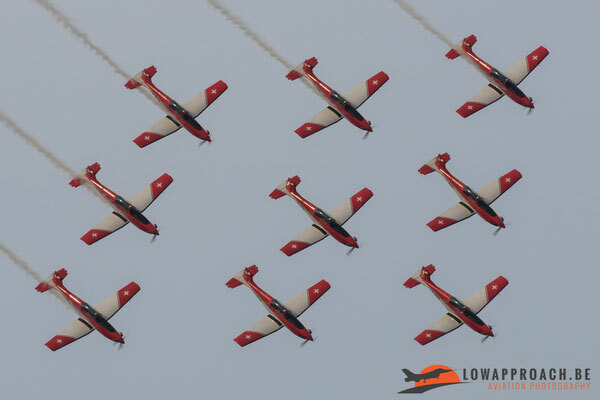 This was the first time that the team participated in this airshow. 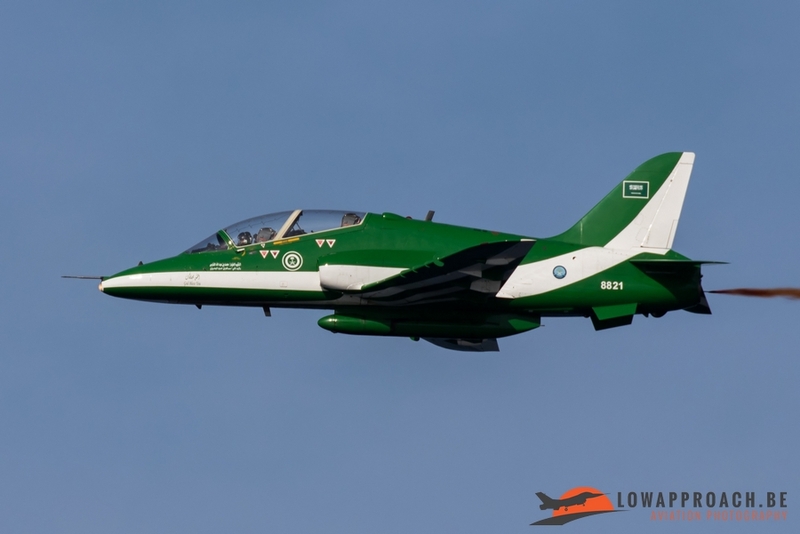 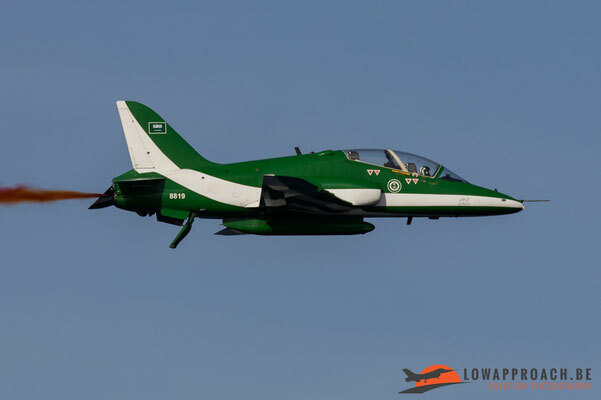 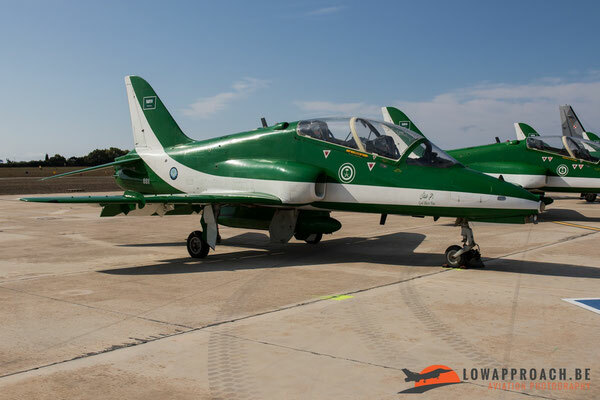 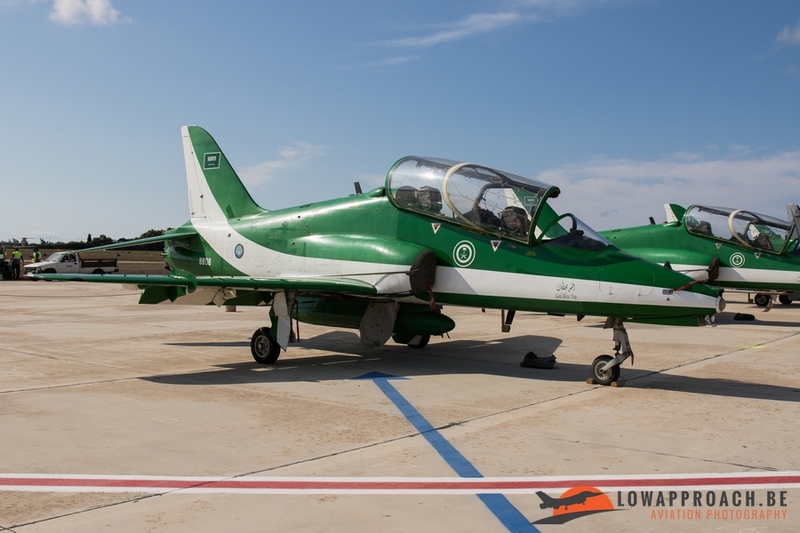 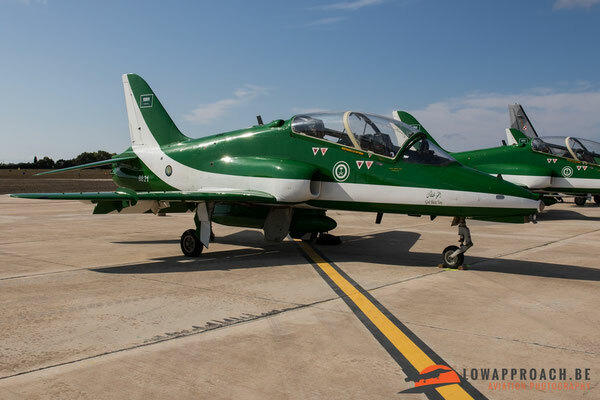 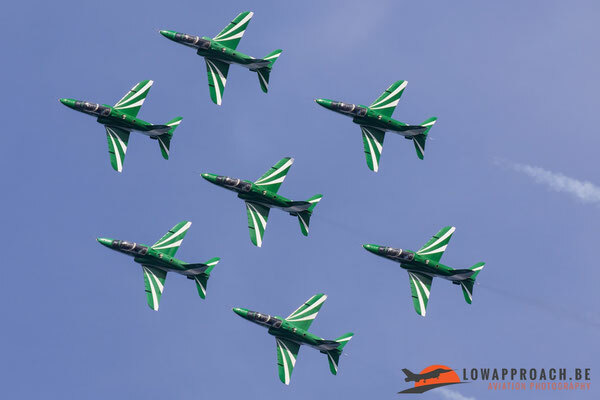 The Saudi Hawks fly with seven specially modified BAE Systems Hawk Mk65 aircraft. 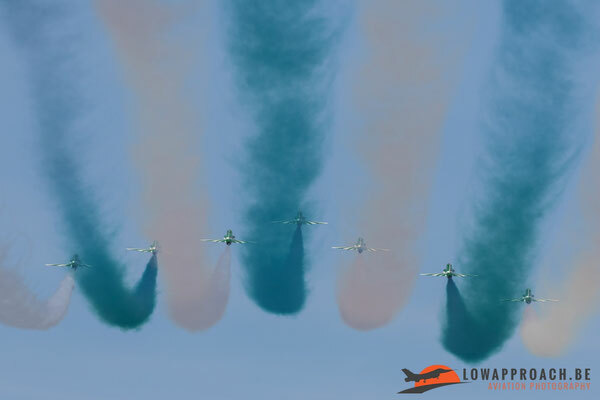 At this moment they even have a place in the Guinness Book of World Record for the largest sky drawing for their logo. 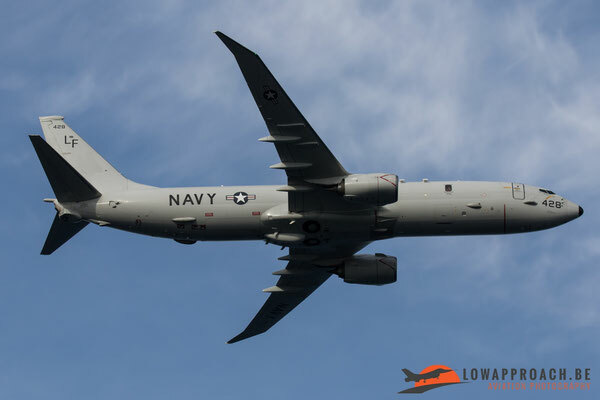 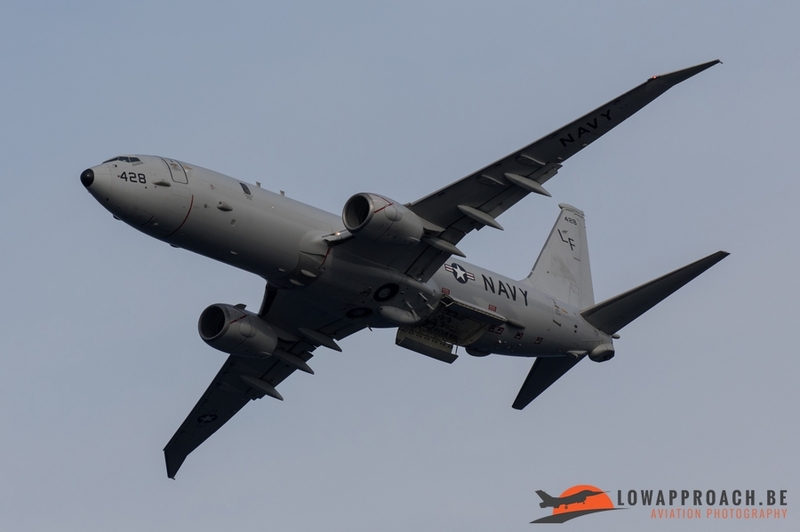 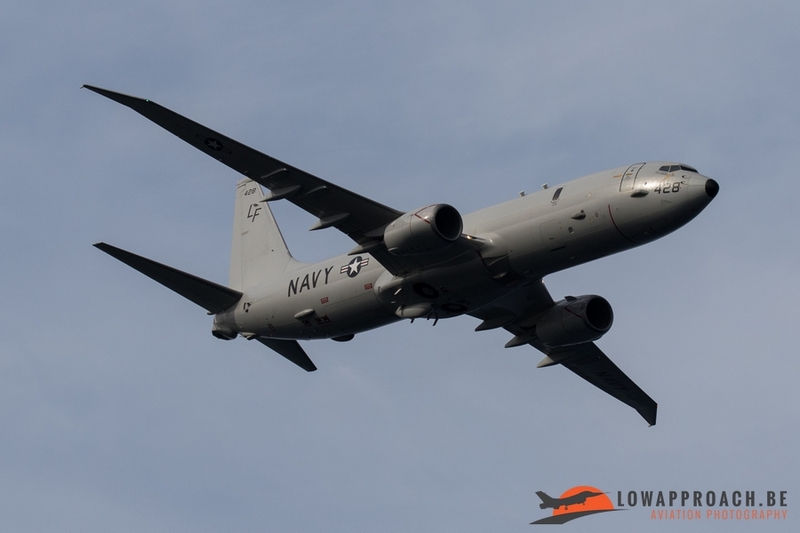 After the perfect demonstration from the Saudi Hawks we could see a couple of flybys done by the P-8A Poseidon from the US Navy, flying directly from NAS Sigonella in Sicily were she is based. The Poseidon is being used as a Multi-Mission Maritime Aircraft. 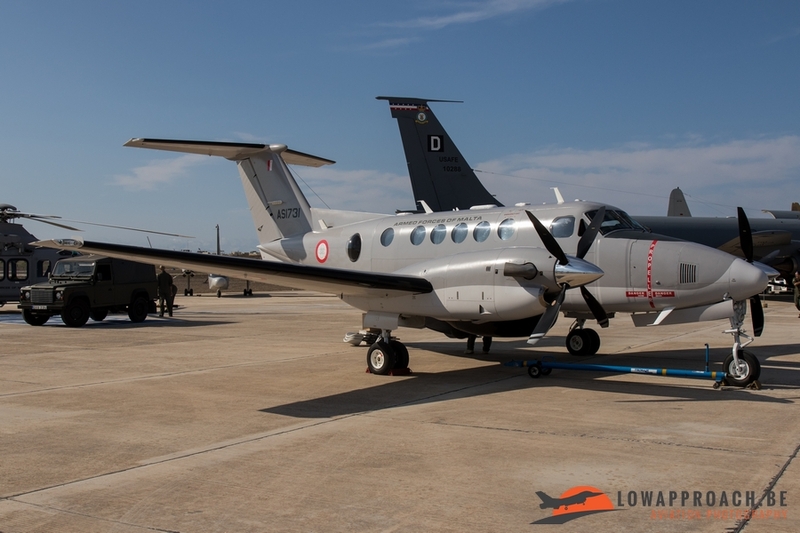 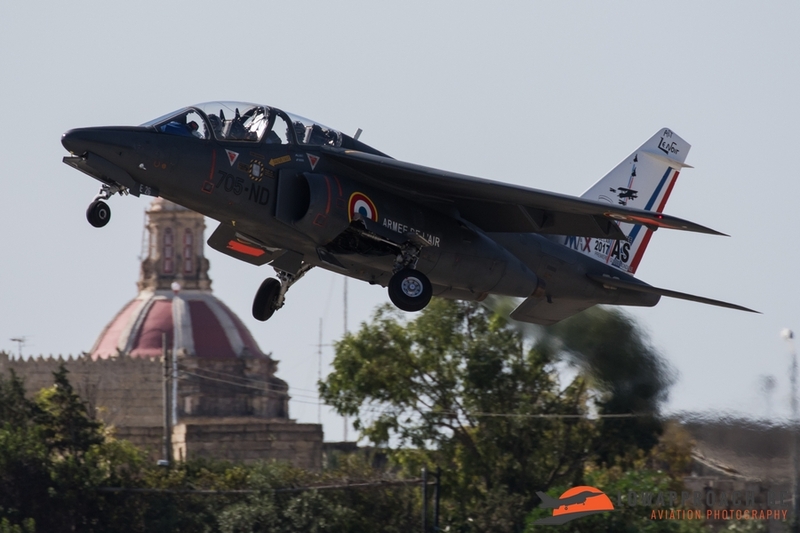 The program continued with the display from the Armed Forces Of Malta’s Fixed Wing aircraft Hawker Beechcraft King Air B-200MPA and the Agusta Westland AW-139. From both of them the AFM have three in service by now. 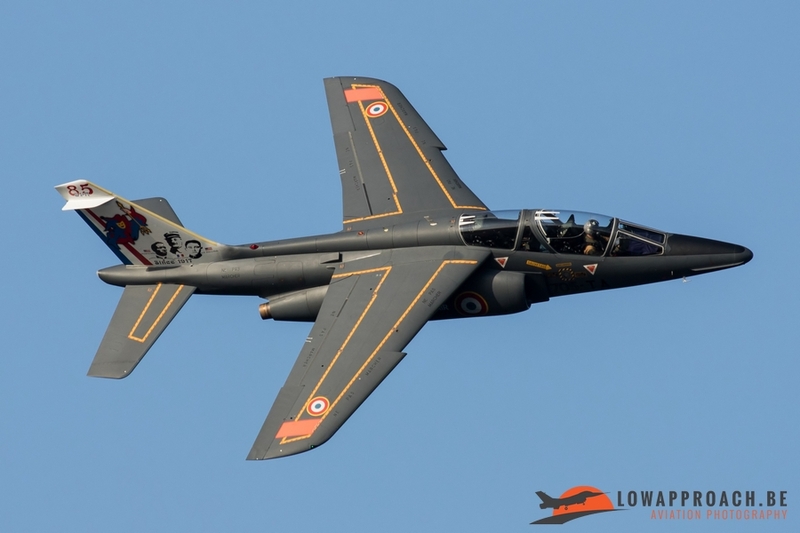 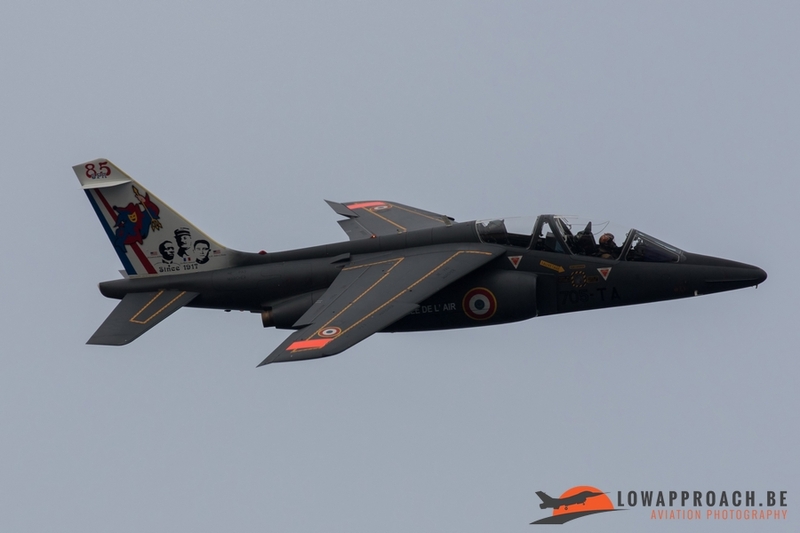 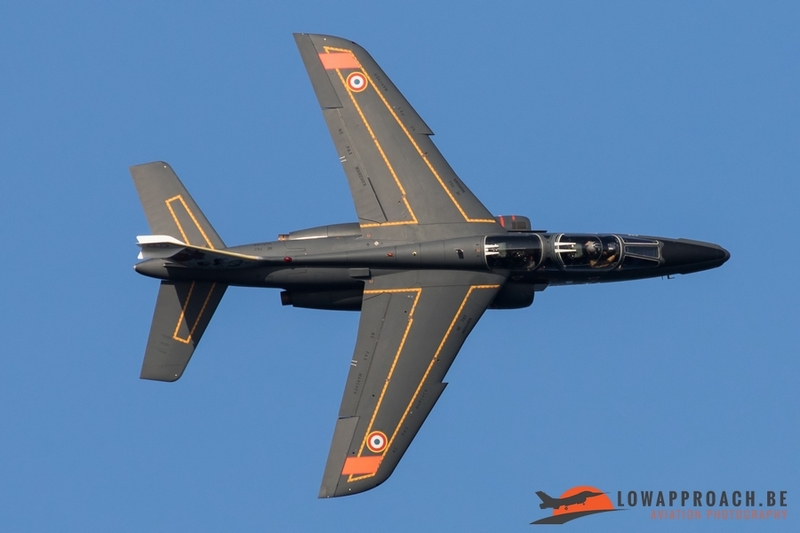 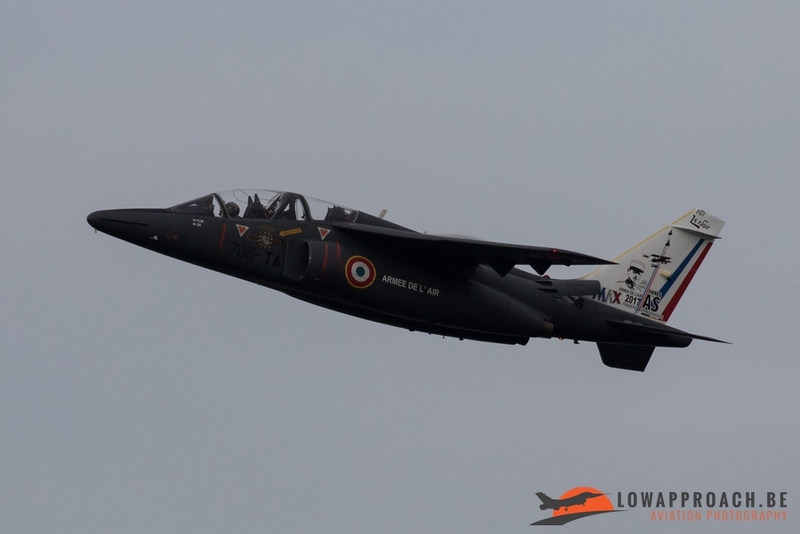 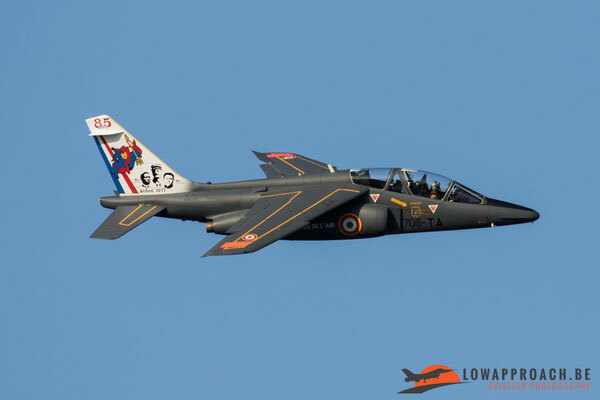 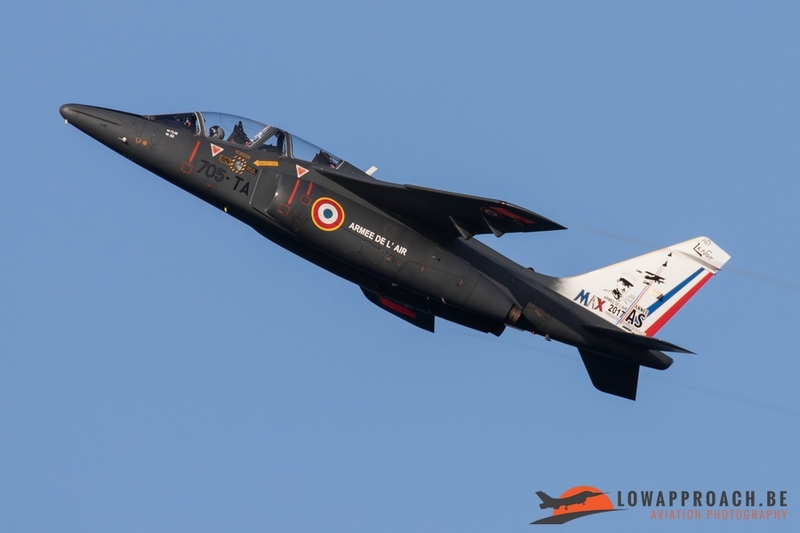 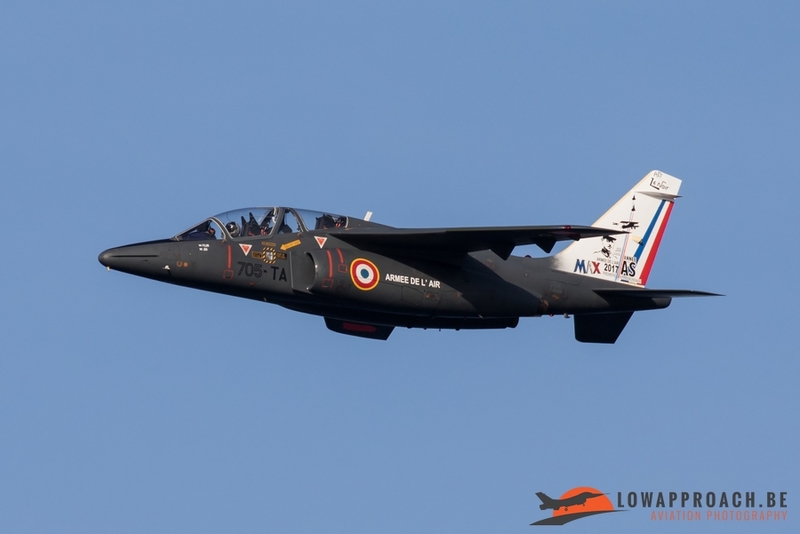 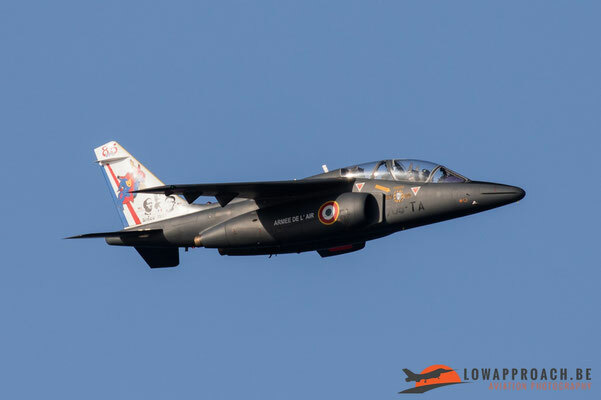 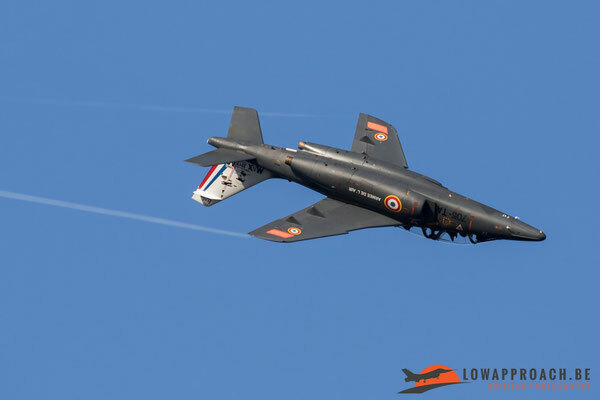 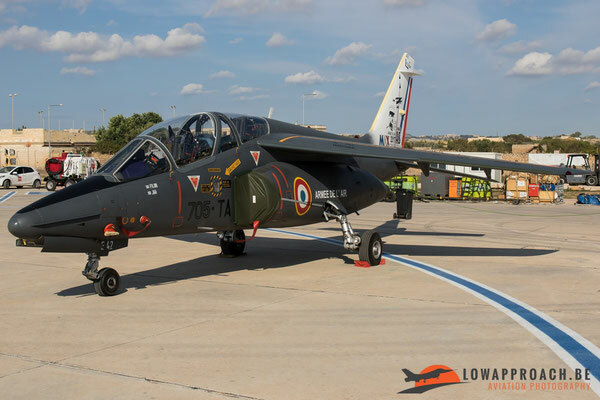 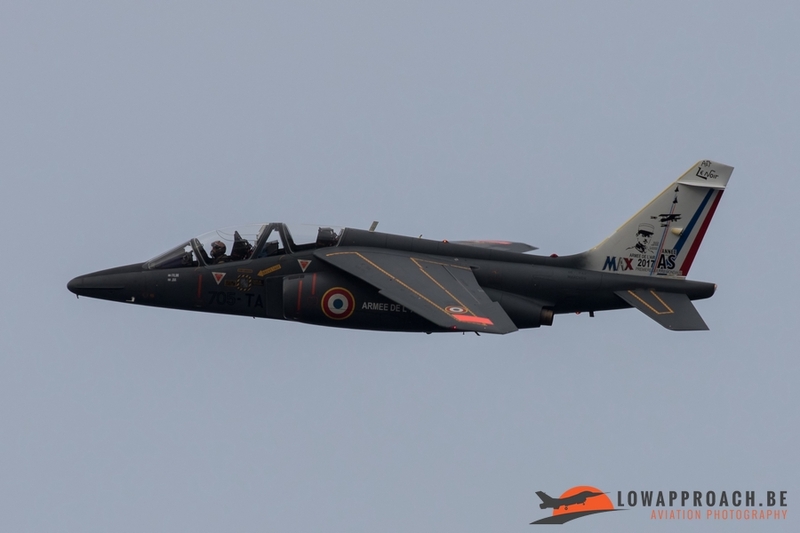 After their splendid demo it was time for the French Air Force Alpha Jet Solo Display and for some flybys of the Falcon 50SURMAR from the French Navy. 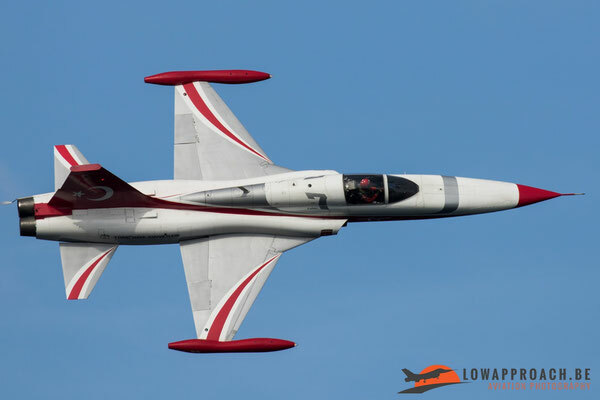 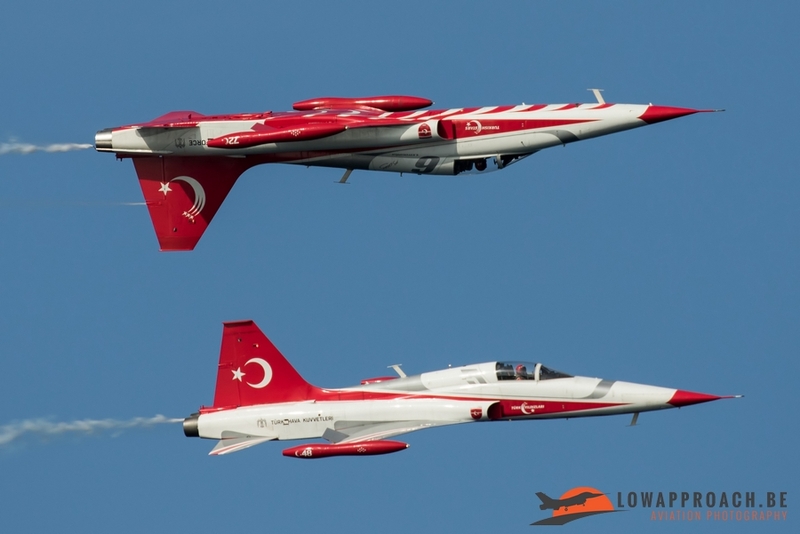 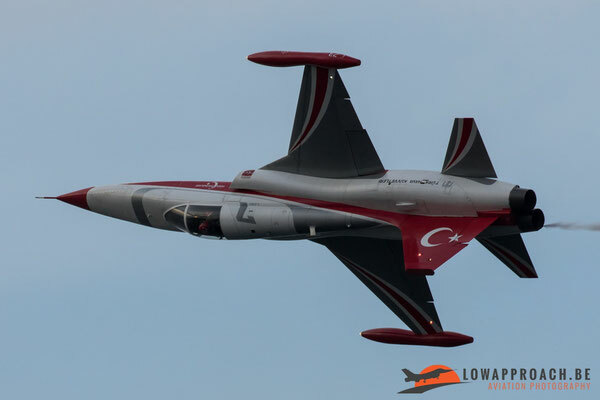 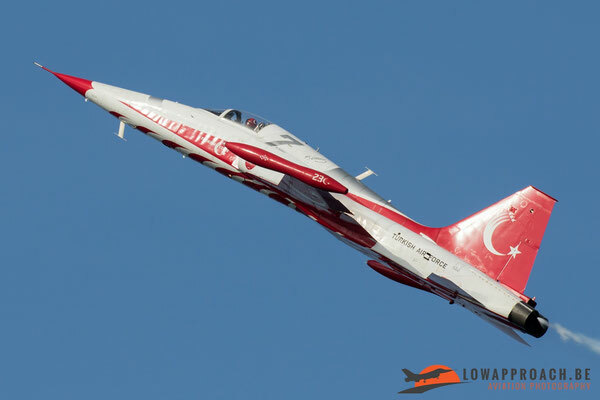 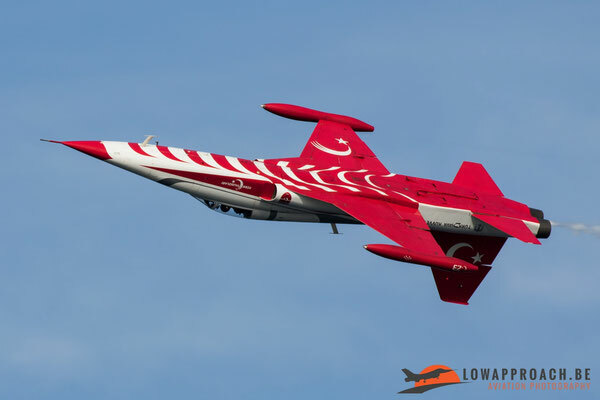 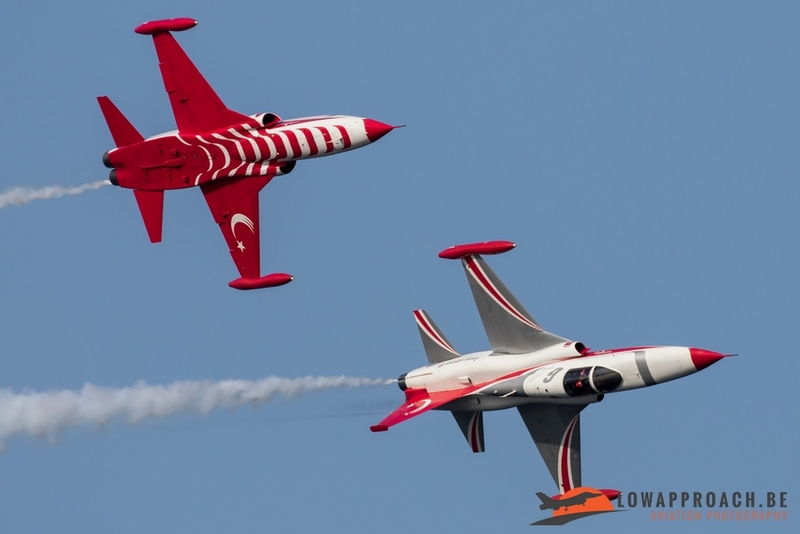 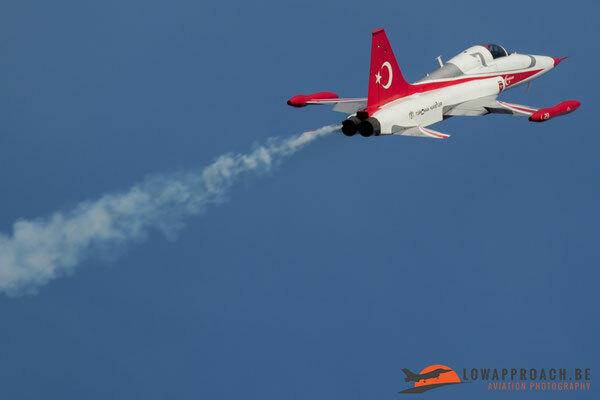 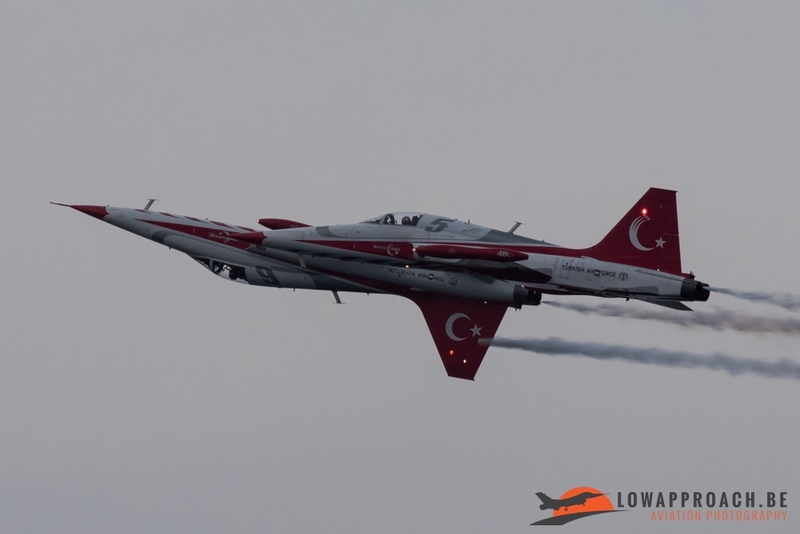 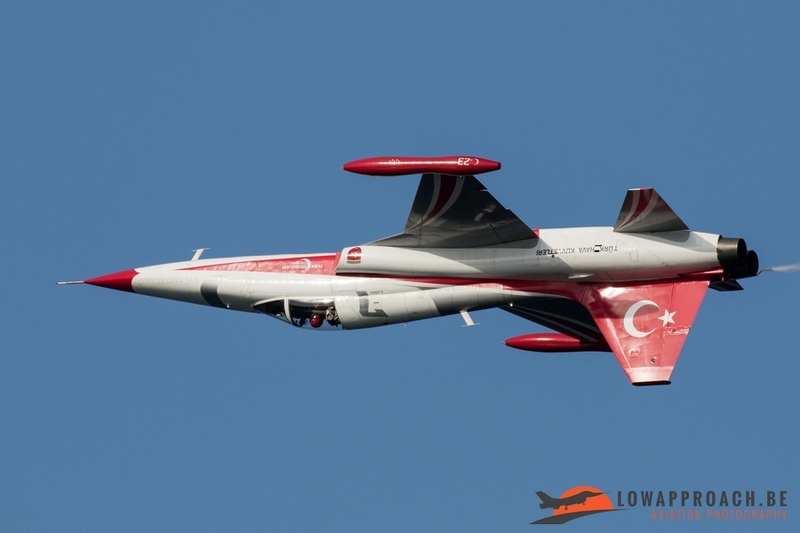 The last two assets on the program in the flying display was the Swiss PC-7 Team with their PC-7’s and the Turkish Stars with the Northrop NF5 Freedom Fighter . 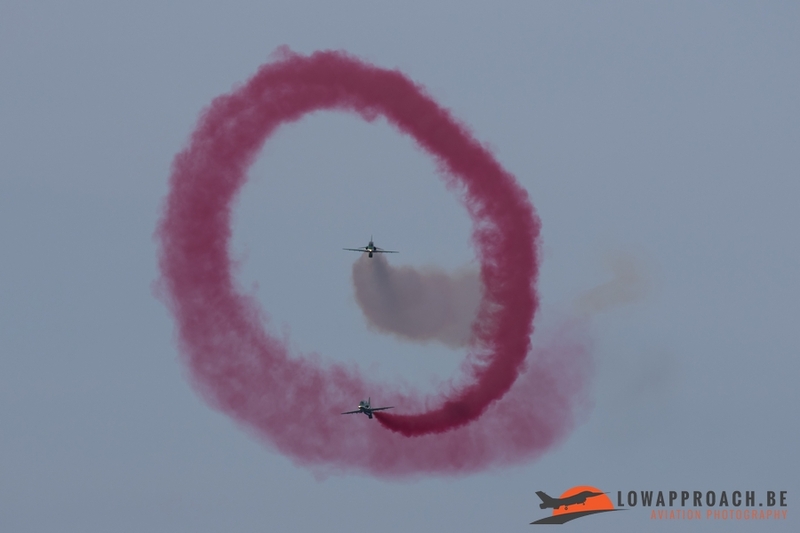 Both of them did a perfect display in the already grey weather over SmartCity. Due to traffic jams and long waiting on busses I missed the evening shoot that was planned on the airfield on Saturday. 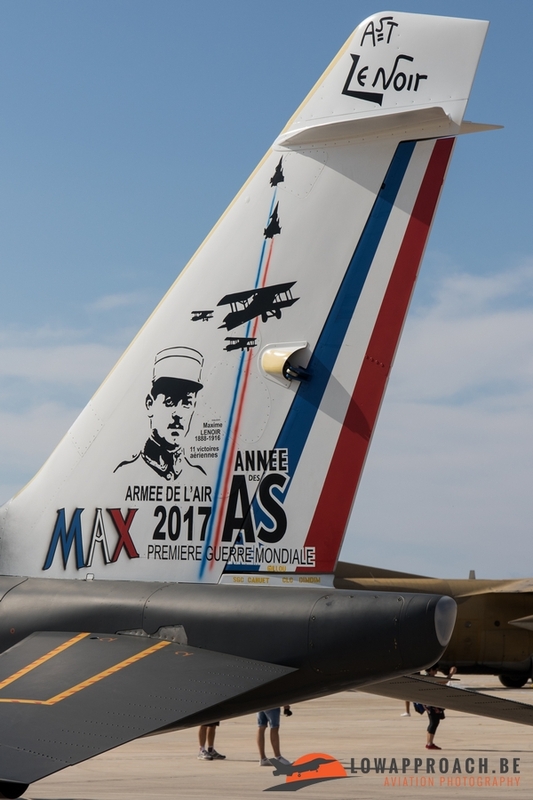 Hopefully I’m more lucky with the next edition. 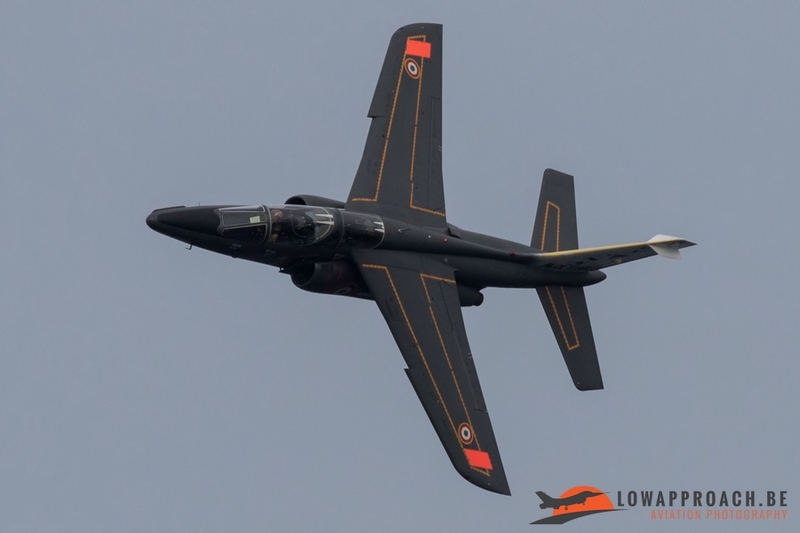 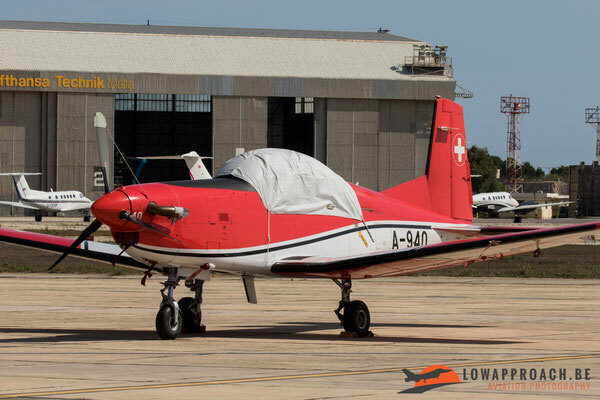 After a night and morning with thunderstorms and heavy rain the organization took the wise decision to cancel the static display for the public at the airport on Sunday. But after some hours the weather improved very well and the flying display at Smart City was going on. In blue skies the AFM Alouette III again came first to open the Airshow. 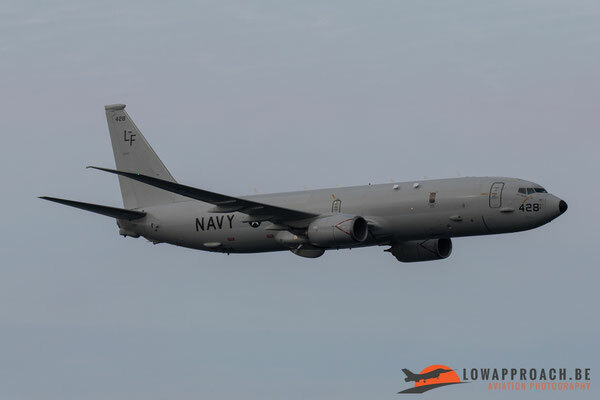 The program on Sunday was almost the same as Saturday only the P-8A Poseidon did only fly on Saturday. 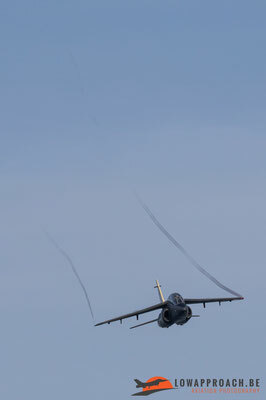 From Sunday I only made a photo report. Monday is known as departures day. 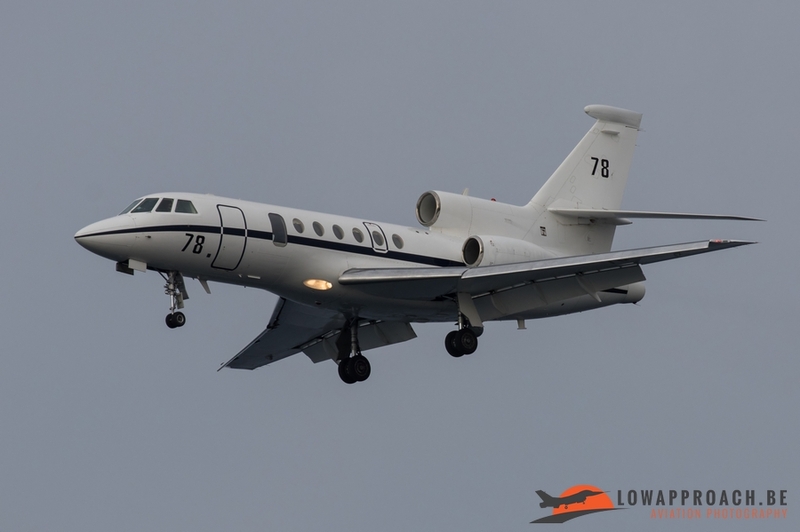 I was welcome on the airport to photograph these departing airplanes. 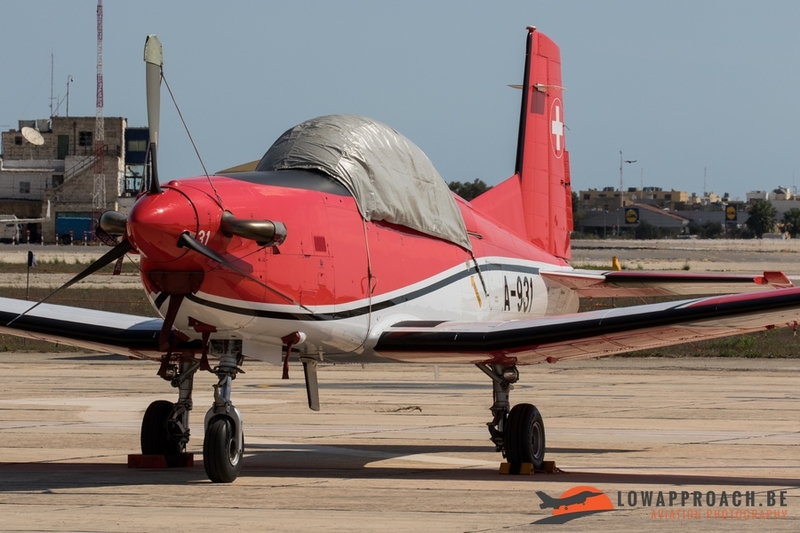 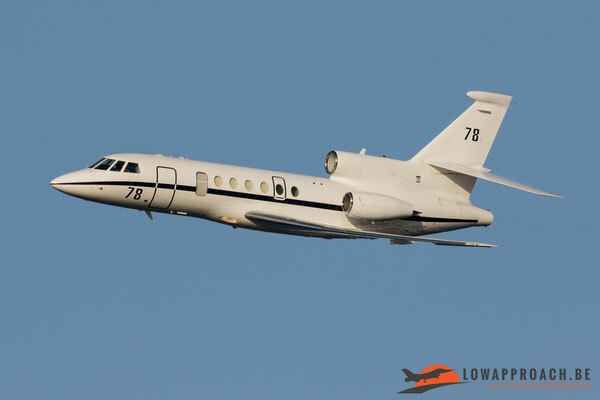 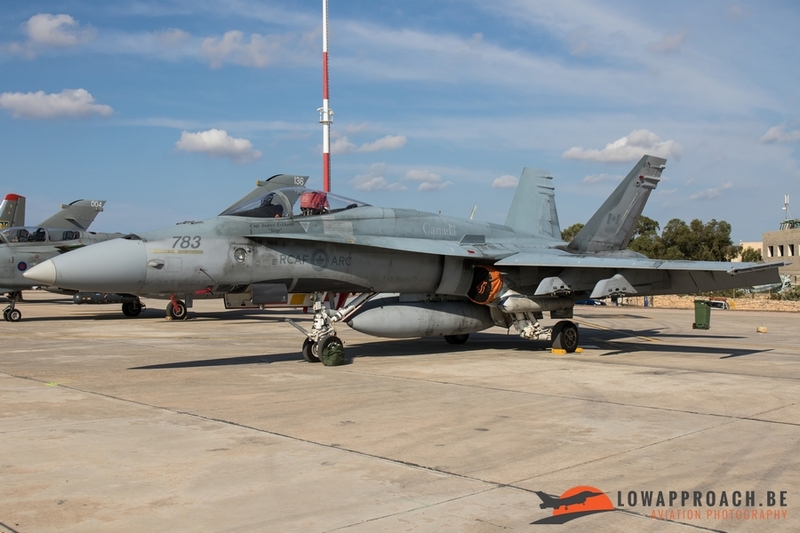 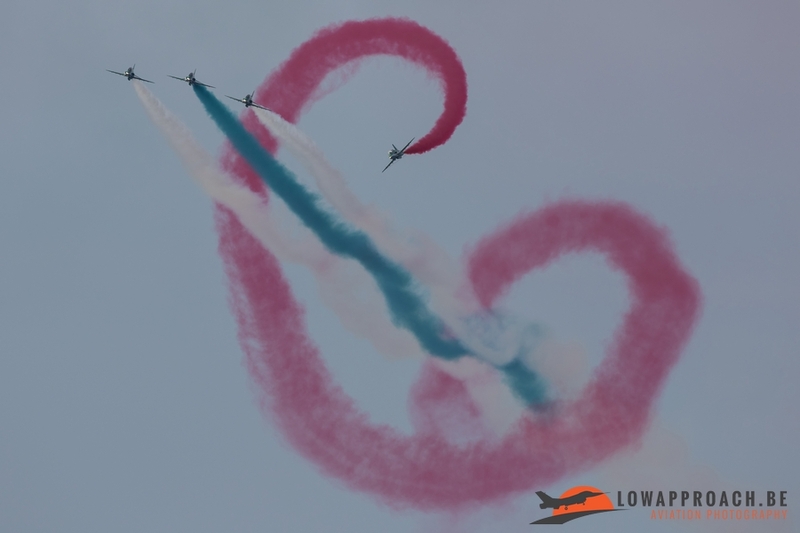 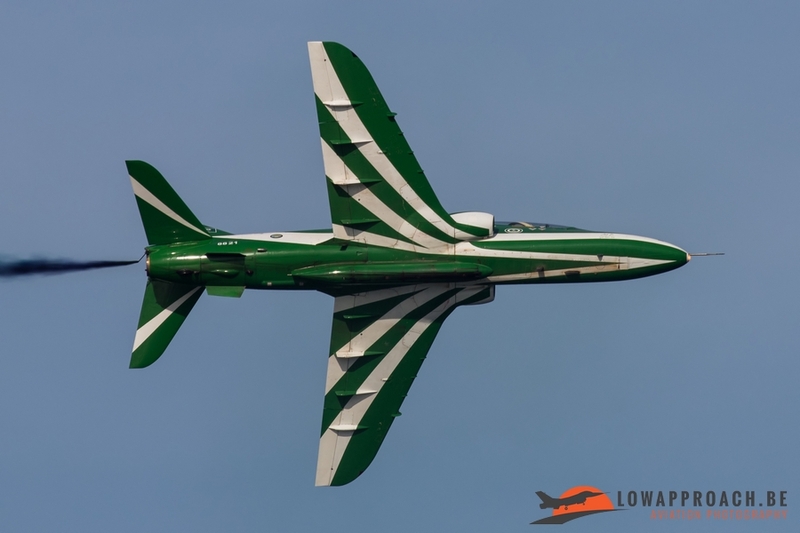 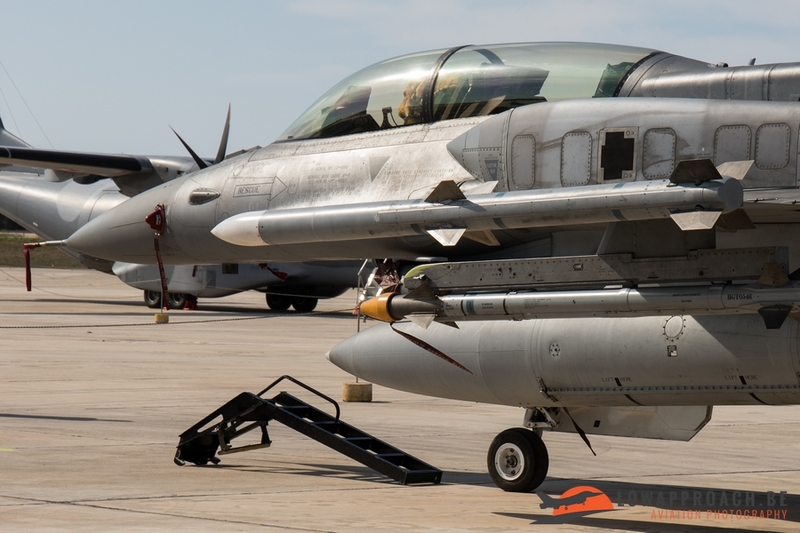 Just like the airshow days there was a really calm and friendly atmosphere even now I had the time to take the pictures that I wanted on the platform from crews preparing the planes to leave, planes/helicopters that were taxiing to the runway,…. 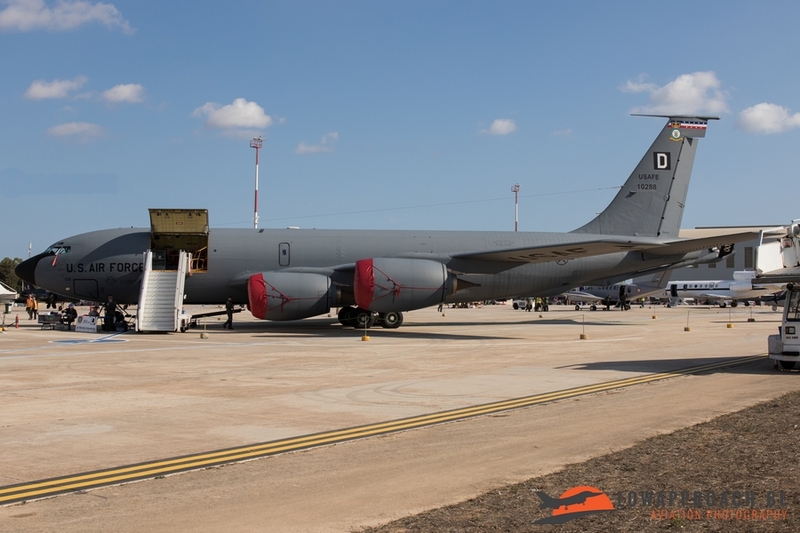 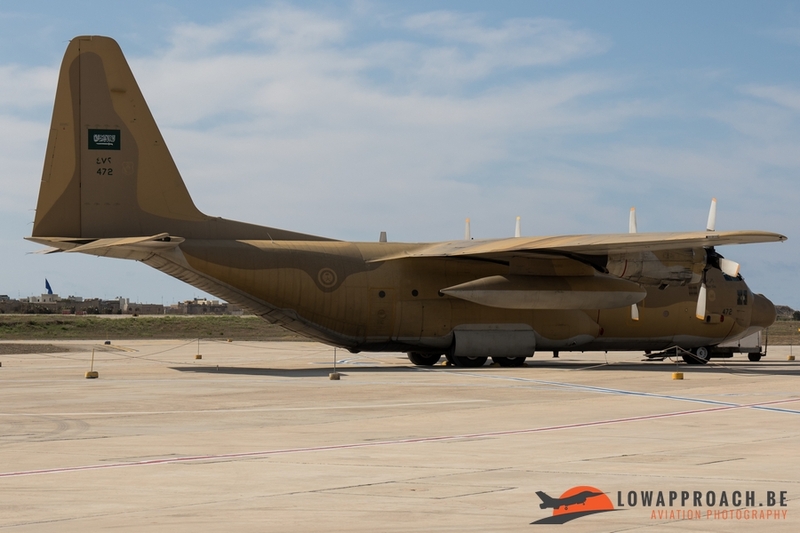 Everything left Malta except the Saudi Hawks with their support of two C-130’s and The Turkish Stars, these departed on Tuesday. 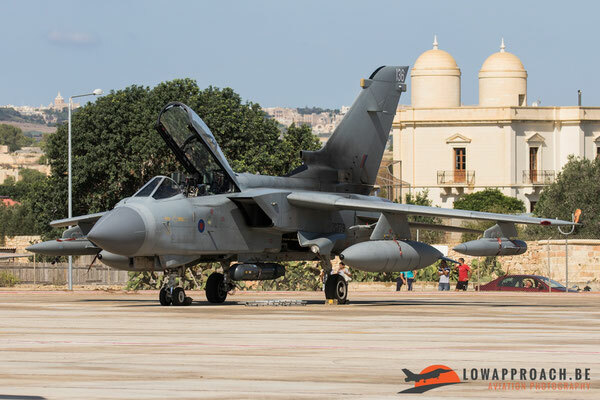 One Tornado GR4 from the Royal Air Force went technical and had stay also a bit longer. 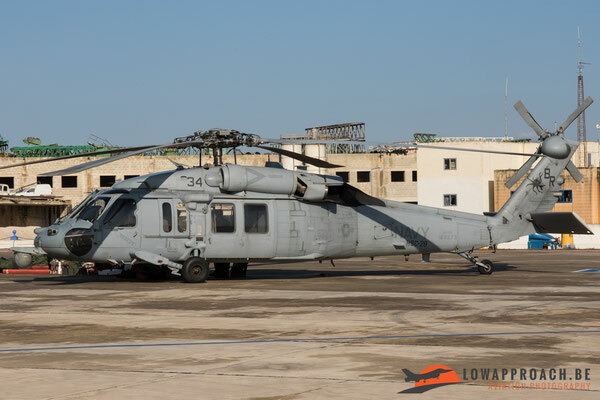 When I departed the airfield at 11:30h the UH-60M, the KC-135 and the German Navy Do228NG stood on the platform ready to leave in the upcoming hours. 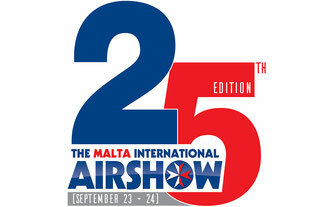 I can conclude that this 25th edition of the Malta International Airshow was again organized very well. 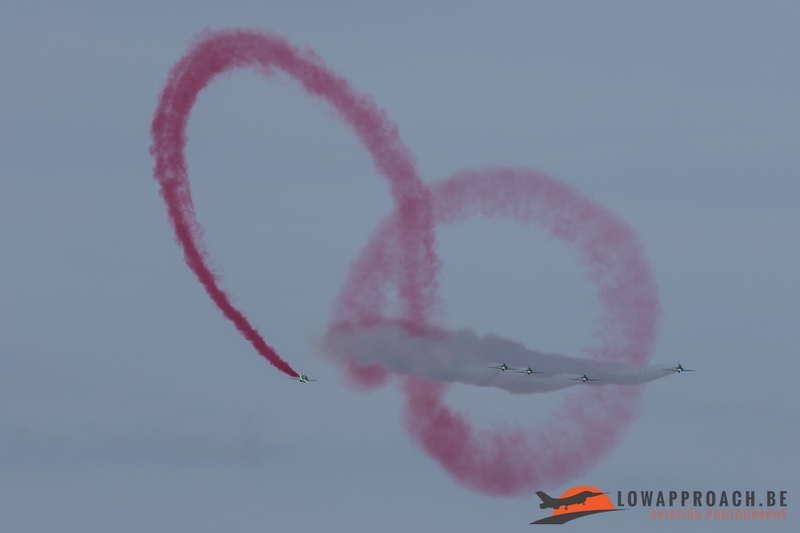 Due to various circumstances, they could start the preparations for this year’s airshow later as normal, but at the airshow itself nothing was seen about this. They have managed to get a nice line up in the static display and a small but nicely flying display. I would like to thank the organizers and the press officers for the good care and good organization. 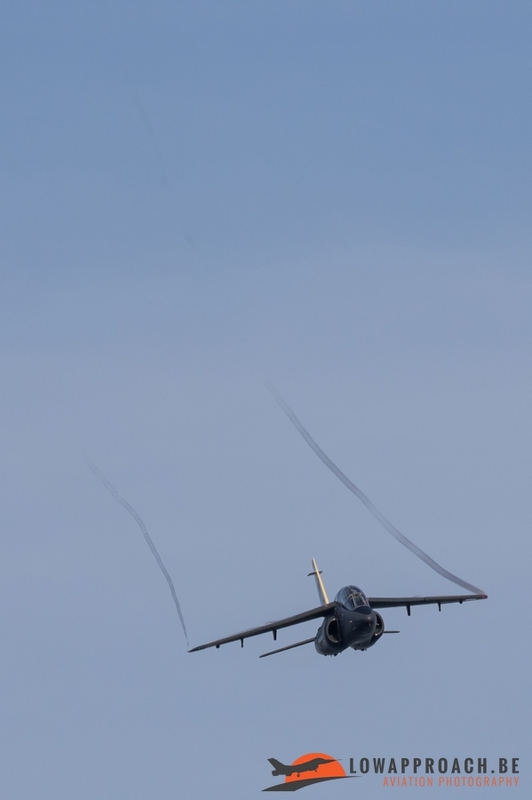 See you at one of the next editions.